Thank you, Dr. Monton, for the kind introduction! And thank you much more [gesturing to Dr. Craig] and all the wonderful students who help you in this wonderful Campus Crusade for Christ! I have had the pleasure of meeting a few throughout the day who have contributed to make my visit even more pleasant. And, of course, I have seen the students who are making sure here that everything happens in order. Thank you also to the other institutions of Indiana University that may have contributed to this event! I have been here before, at this University; it is always a great pleasure to come back. This is one of the great masterpieces of contemporary art, the painting by the great Spanish painter Pablo Picasso, known as the Guernica. I think we would agree that this painting conveys a message: the brutality, the horrors of war, the inhumanity of humans to humans. This was painted after the Nazi airplanes had bombed [on April 26, 1937, early in the Spanish civil war] the civilian population of the city of Guernica in Spain and killed 25% of the inhabitants. We also would agree that it had been designed intentionally, in the same way that we would agree that a watch has been designed to tell time and a car has been designed for transportation. 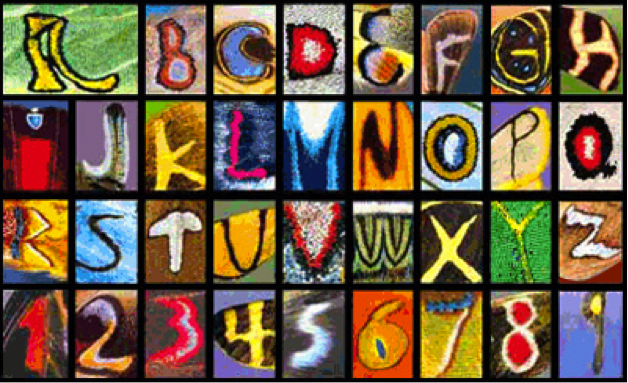 You can see the letters of the alphabet and the nine digits. These are butterfly wings. Now we could use these letters to write English text and the digits to make arithmetic calculations. But I think most of you would agree with me that they have not been designed for this purpose, in the same way that we would not say that a mountain has been designed for skiing. Although we can use the mountain for skiing and we can use a river for navigation, but they have not been designed for these purposes. The point I will be making is that the human eye shares something in common with the painting and the watch and the car and something in common with the butterfly wings and the mountain and the river. It shares in common with the first set that if it were not because of the purpose it serves, the purpose of seeing, the eye would not have come to be. But it shares with the butterfly wings and the mountain and the river that it is the result of natural processes; it is not the result of an intentional design by an intelligent designer. And we owe this understanding of our organs that have functions, that they have been designed for a purpose, but they have not been designed by a designer, to Darwin’s discovery of natural selection. 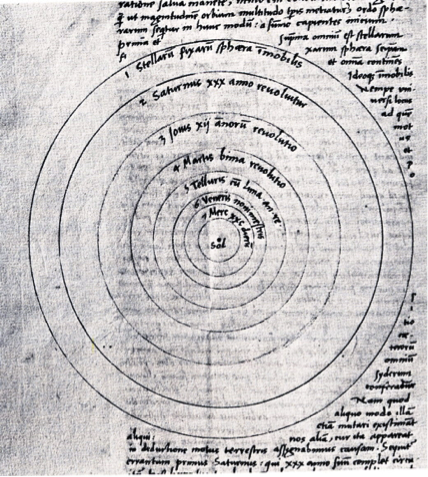 and as shown, for example, in this contemporary drawing from a German book, where we can see the earth, “terra,” in Latin. All scientific books at that time and for the following two centuries were written in Latin. 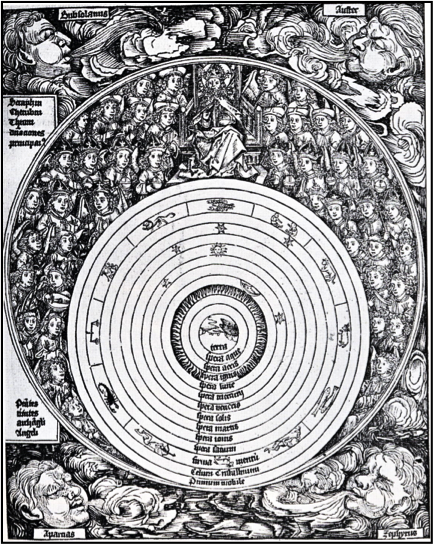 So we have the Earth and the moon [pointing from center of diagram outward]. And then you have here Mercury, Venus; and then the sun going around like the other planets around Earth, then Mars, Jupiter, Saturn, and the stellar constellations. 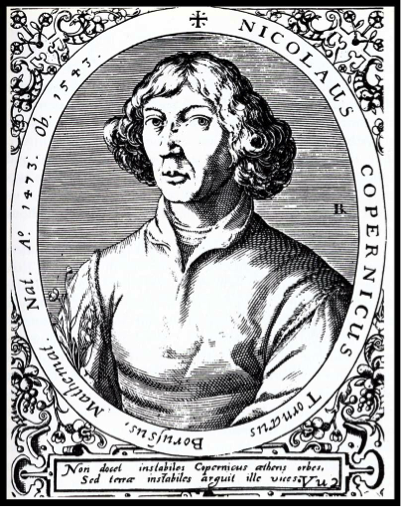 In contrast, Copernicus argued that the center of the known universe was the sun, “Sol,” then Mercury, Venus, the Earth with the moon, Mars, Jupiter, Saturn, and the celestial stars. But to understand the meaning of the Copernican revolution one has to go one step farther and look into some of his successors of which I have highlighted two here. Two, Galileo and Newton, who lived one hundred years apart of each other; Galileo lived one hundred years, approximately, after Copernicus. And they jointly represent the beginning of science in the modern sense of the word: the commitment to the notion that the material universe, the natural universe, consists of matter in motion governed by natural laws. Laws that can be discovered, that are simple, that are universal, in the sense that they apply on the Earth as well as in the heavens, and that they can be subject to test by observation and experiment. [Dr. Ayala points to first formula.] Like the law that force equals mass times acceleration. [Now pointing to second formula.] Or the inverse square law of attraction: the attraction between two bodies is proportional to the product of their masses but inversely related to the square of their distance. 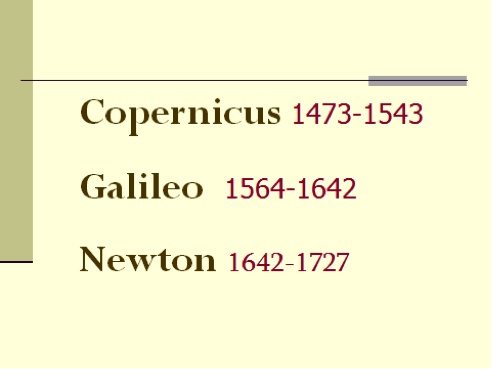 Copernicus, Galileo, and Newton left out organisms. They had been left out of the scientific revolution for a very good reason, that had been argued by philosophers and theologians, even in classical Greece before the time of Christ and all through the centuries, but it had been stated or was eventually stated better by William Paley than by anybody else before or since in his book, Natural Theology, which was part of the canon at Cambridge when Darwin was a student. 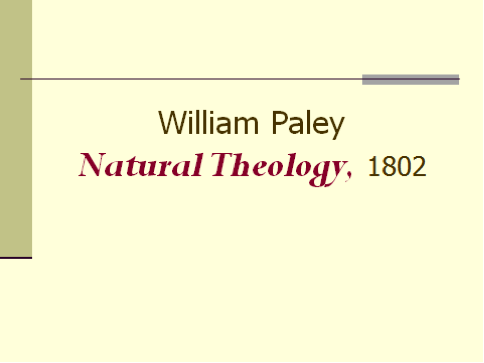 And therefore he read and studied William Paley with great appreciation. 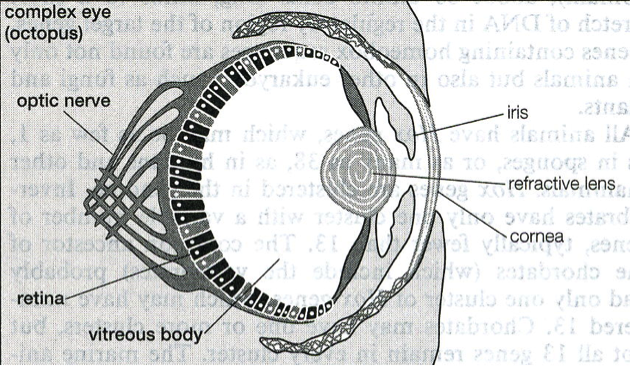 William Paley developed an extended argument which starts with a human eye, pointing out that the human eye consists of numerous parts. Here we have the cornea, the iris, the lens, the nerve which sends information from the retina to the brain, the retina, and many others. And he says that all these parts are precisely adjusted one to the other in the same way as the parts of a watch are designed to fit one with the other, so that the watch can tell time. When we see a watch, we are looking for a watch maker. The argument of Paley is that when we see the eye, or when we see any other organ or limb of a human being or of other animals and plants, and also when we look at the relations between the sexes, or the relations of one species with another, or animals with their environment, we see, in every case, complex design, multiple parts integrated in a precise way. And wherever there is design, he argues, there is [a] designer; and that is the designer of the whole universe. So the whole universe of life, all animals and plants, can only be God. Well, it was Darwin’s genius to discover that one can have design without designer. 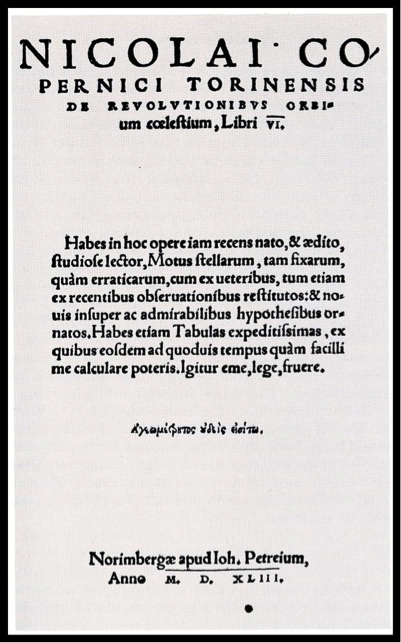 And thereby he completed the Copernican revolution, the scientific revolution. Because now he brought organisms within the realm of science, explanation by natural laws, natural laws that can be subject to testing by observation and experiment. He first formulated his explanation in The Origin of Species, published in 1859. . . . We are celebrating the 150th anniversary this year. 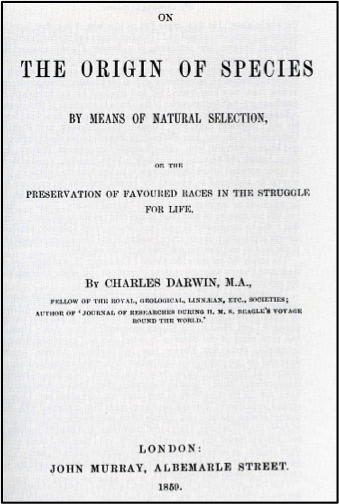 This book is dedicated to natural selection; the origin of species by means of natural selection. 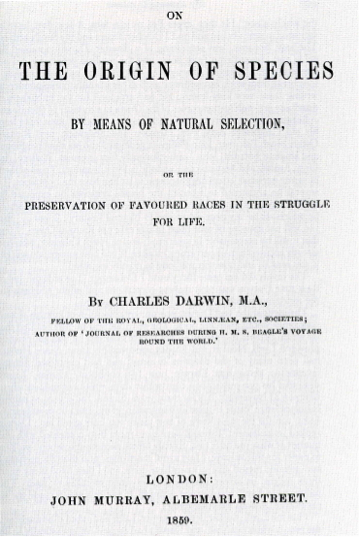 And of the fourteen chapters, nine are dedicated to explain natural selection, and five are dedicated to the evidence for the evolution of organisms, the evidence for evolution, and how that evolution demonstrates natural selection. 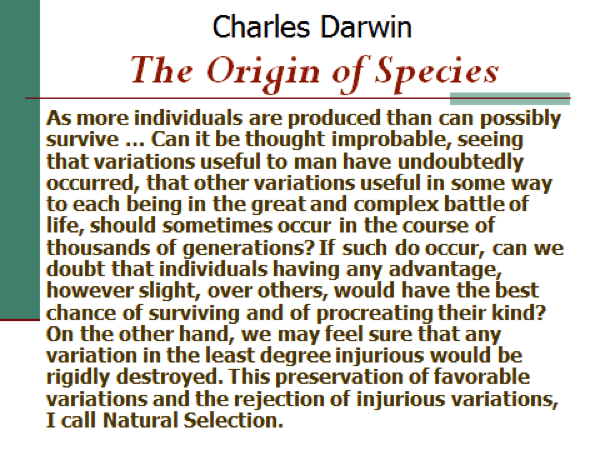 His purpose in this book is not evolution per se, its natural selection. This one is a statement out of many, because the theory of natural selection is developed, as I said, over nine of the fourteen chapters. 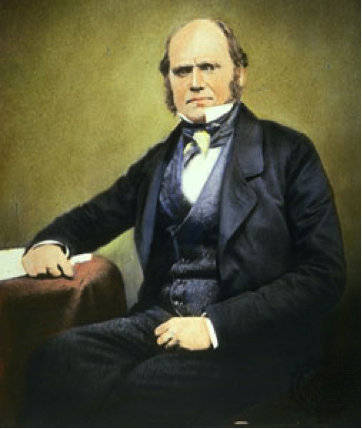 Ever after, in fact since 1837 or 38, shortly after returning from a trip around the world of five years, when Darwin had been in a ship of the British navy, he referred to natural selection as “my theory.” Evolution was not his theory. Evolution was the support for his theory. Evolution was accepted by many biologists of his time. What was new was natural selection. And what was new about natural selection was that it was able to explain the diversity and the design of organisms as the result of natural processes. And therefore the Copernican revolution was completed. Everything in the natural world, in the world that we can experience with our senses, now fell within the realm of science. Now this fairly simple concept in principle has by now been developed enormously. There is an enormous mathematical theory around it, developed in hundreds or thousands of articles. And there are thousands and thousands and thousands of studies that provide the evidence and that have been published in dozens and dozens of journals. But the basic concept is right here, as stated by Darwin. And there is no doubt that Darwin is one of the greatest scientists of all times. And those of us who study evolution who have a proper prejudice and pride, we think that he was the greatest scientist of all times. Now the evidence that he uses for evolution is of several kinds in the five chapters. There are two chapters dedicated to geology, two to biogeography, the geographic distribution of organisms, and one chapter to comparative anatomy. And I am going to look at some of that evidence very briefly now. The first [is] from geology, a field that had come of age during the first half of the 19th century. 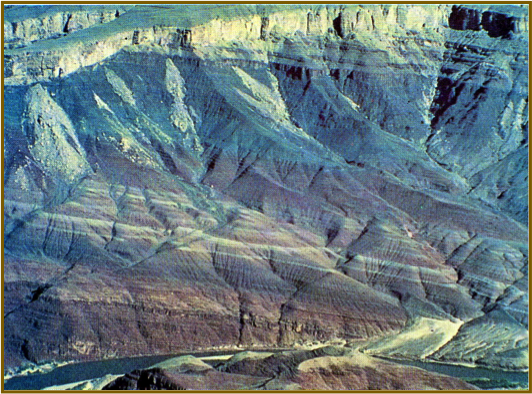 A number of studies had come to show that when one sees the strata of this kind [pointing to the rock layers on the slide] exposed either by erosion, or near Cincinnati as I saw four or five days ago, by cutting through earth by roads or for road construction, that when you have sediments of this kind, strata of this kind, they represent sediments that have been accumulating over time. Therefore, when fossils are found—as they are found here and around these roads in Cincinnati—the fossils which are in the lower layers lived earlier than the fossils that are found farther up. This is the Grand Canyon of the Colorado River. 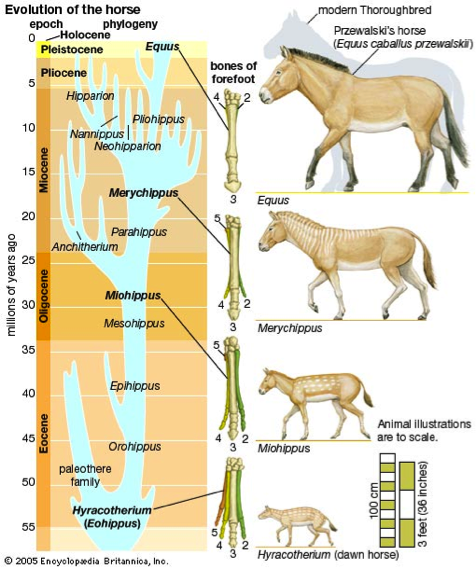 So that paleontologists, geologists working on organisms, can construct evolutionary lines of descent, as this one of the horse, started with a small horse[at the bottom of the diagram], about the size of a small dog, Hyracotherium, which lived about 50 million years ago, progressing to the modern horse [pointing to the top of the diagram]. And many things are changing, not only size, but the number of toes. And notice also the way in which we evolutionists mark the origin of new species and their extinction. When a species derives from another one, we represent it by a branch: we use the width of the branch as to indicate the size of the population, how extensive a species is. And notice one thing which is universally true. The great majority of species become extinct. We come only to the two kinds of modern horses while many, many other species existed in the past, but are now extinct. Contemporaries of Darwin were asking, “Where are the intermediates?” If organisms come about by evolution, more or less gradual evolution, where are the intermediates within large groups of organisms? 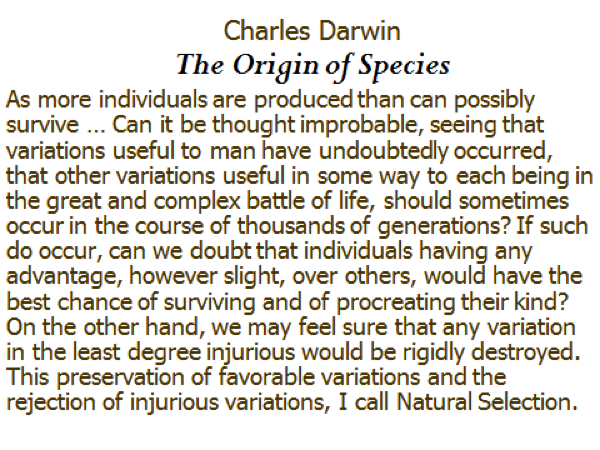 Well, there were none known during the lifetime of Darwin, I mean at the time when Darwin published the Origin of Species, but he was quite confident that they would be found. And indeed, in the following year, in 1860, this fossil was discovered. 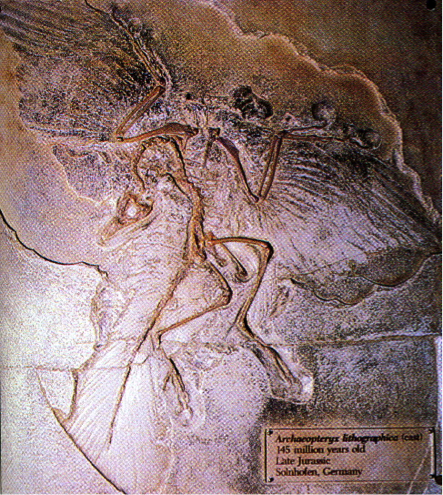 This is called Archaeopteryx. Which has the skeleton very much of a reptile, of a small dinosaur. It’s only around the size of a crow. But it has many features that are typical of birds: the head, it has wings, and others. Three years ago, this animal was discovered,  Tiktaalik. It was being sought intentionally in sediments of 380 million years of age in northern Canada in the Nunavut territory [pointing to middle of five fish/amphibians on ascending evolutionary line] because these other two animals were already known [(4) Acanthostega, and (2) Panderichthys]. This [(2) shows some signs of it being an amphibian but it is still by and large a fish. This  is clearly an amphibian. And as I said, three years ago Tiktaalik was discovered; clearly an intermediate. 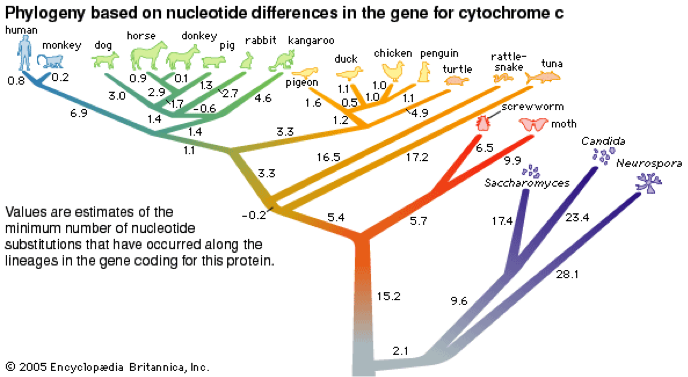 What concerned mostly the contemporaries of Darwin and other people who asked the question, “Where are the intermediates?” was where were the intermediates between the common ancestor of our closest relatives, the chimpanzees, and humans. By the time Darwin died, in 1882, none of these intermediates was known. Seven years later, in 1889, the first one was discovered, the creature now known as Homo erectus. [Pointing to third and fourth figures from top of line.] It was discovered by a Dutch physician in Java, in what is today Java. He called it Pithecanthropus erectus; Pithecus and anthropus, [man-ape], now called Homo (human) erectus. It had a small brain, but clearly this physician who knew anatomy was aware that this individual had to have walked on two legs, that is, it had an erect gait. 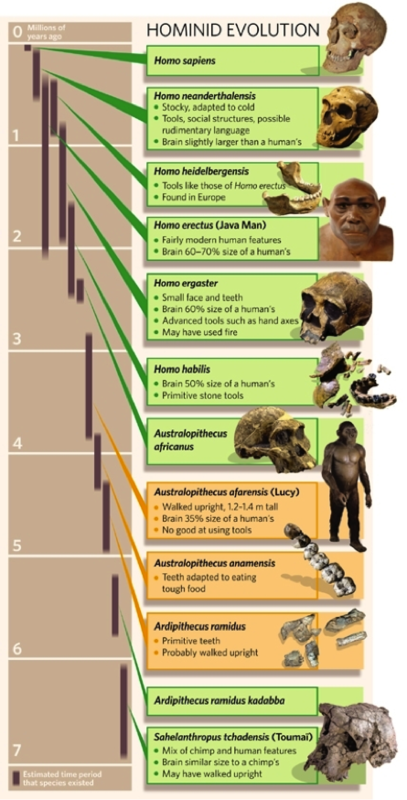 Since then, thousands of intermediates of these hominids, which are intermediates between our ape ancestors and modern humans, thousands of these have been discovered. Literally dozens of them, or new ones, are discovered every year. An important example that I am going to use to illustrate a principle is Australopithecus afarensis; Lucy. [Points to eighth figure from top of slide about 4 million years ago.] The point that I want to make is, according to the theory of natural selection, evolution will not be something that happens gradually in all respects. This is the way his contemporaries thought evolution happened. Darwin said no, different parts will evolve at different times in response to the needs of the environment. And here you have a classic example. As you look at two of the major features that distinguish us from the apes, one is we have a larger brain, three to four times larger than that of a male chimpanzee, and then the bipedal gait. 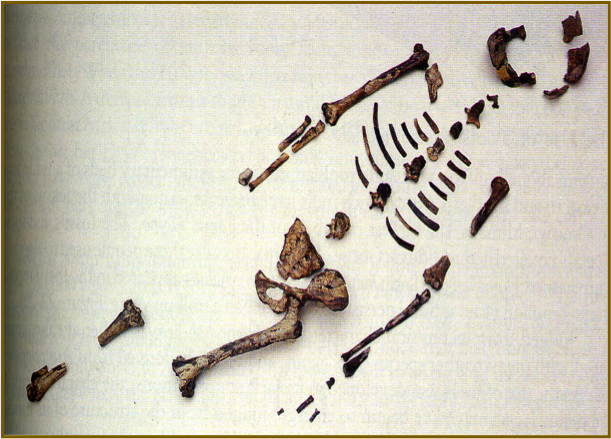 And if we look at Lucy, Australopithecus afarensis, here is what was found forty years ago: 40% of a skeleton of an individual. But I want you to look at the hip bone, the pelvis. Good anatomists will have many other ways to find out that Lucy had bipedal gait. 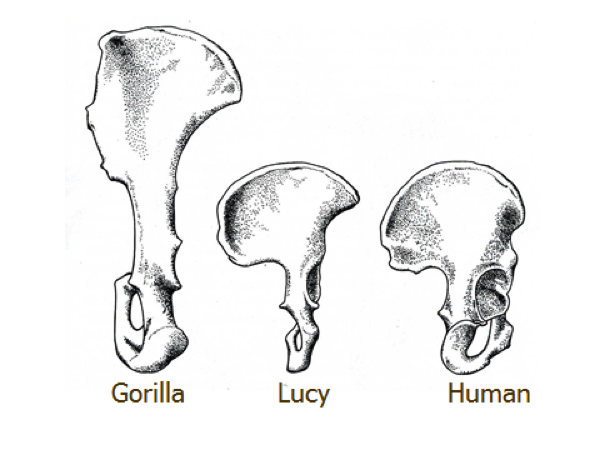 But if we look at the pelvis (I have made Lucy’s pelvis larger because Lucy would have been a three foot tall young woman). I have enlarged the size to compare its shape to that of a human and with that of a gorilla. 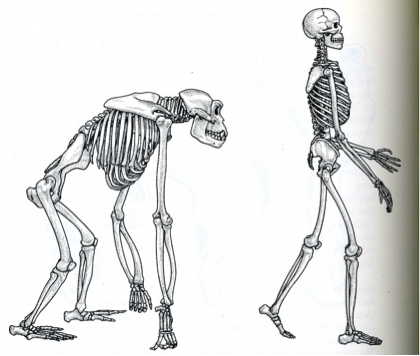 And it’s clear that Lucy could not walk the way a gorilla or chimp walks, knuckle walking, resting on the knuckles, because the hip bone was not large enough, so it had to walk like that [pointing to the human skeleton]. But the brain would only become larger much later starting about two million years ago. Darwin used also comparative anatomy. 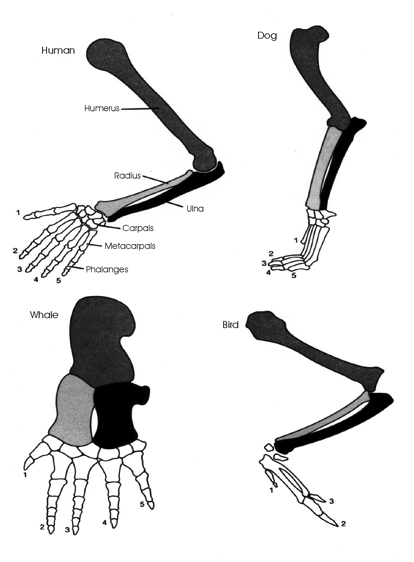 And here I am using a simple example: the forelimb bones of a dog, a bird, a whale, and a human. The four limbs are made of the same bones, organized in the same way and yet they are used for completely different purposes: for swimming, for flying, for running, and for handling objects or for writing. And the argument of Darwin was: how do we explain that similarity? An engineer does not design an airplane, and a ship, and a car with the same parts organized in the same way, but uses new materials for each purpose. 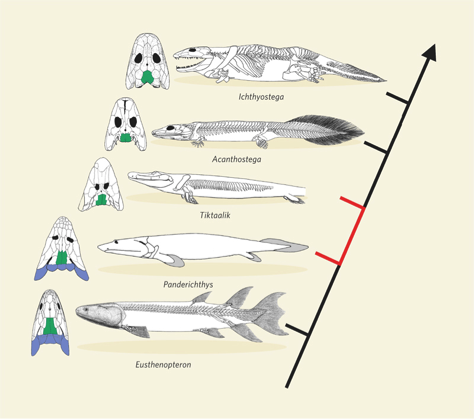 How do we explain this similarity, except from a common ancestor—which had already this structure in the forelimbs—actually, from Tiktaalik, although he did not know about Tiktaalik? Well, the most convincing evidence for evolution comes from a science, a scientific discipline that did not exist in Darwin’s time and not for a century since The Origin of Species, molecular biology. 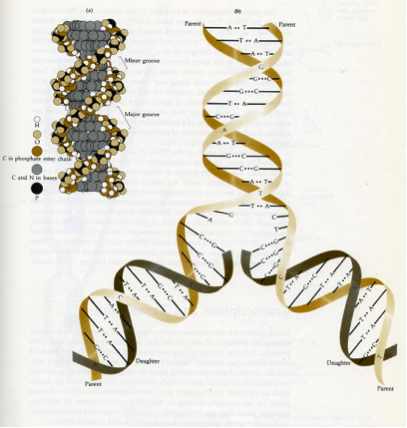 Now we know that genetic information and evolutionary information is encased in the DNA, the succession of its letters. 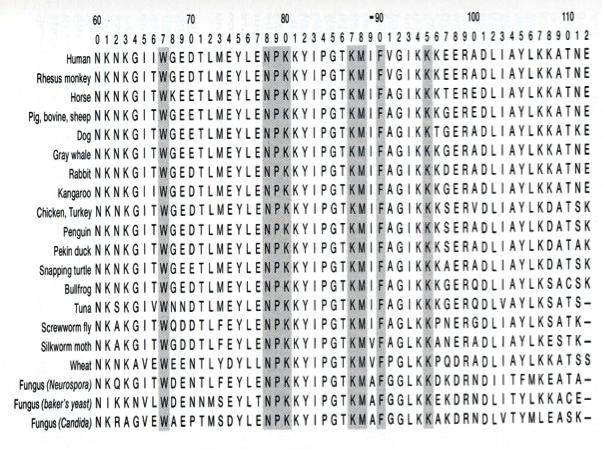 The human genome has three billion of these letters; they have evolutionary and genetic information. If we were to write all the letters of one human genome we would need 500 volumes of the size of the Bible. That is how much genetic information we have. Any part of that information we can use to reconstruct evolutionary history. 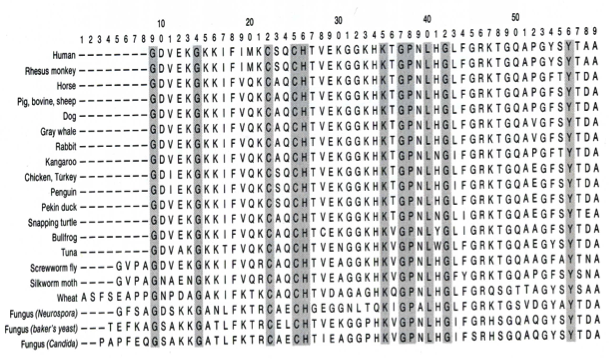 The first important demonstration of how molecular biology can be used to prove evolution was done in 1967, with a very small molecule. Because at the time we still could not handle full genomes, not even large genes as we do now; large proteins. This is a very small protein. This work was done by two scientists; the leader was Professor Walter Fitch who was at the time a very young scientist, now he is a Senior Professor in my department at the University of California in Irvine. [Recently deceased, March 2011, ed.] But this was in 1967. And this is how molecular evolution works, this comparative study, to find out the relationship between different organisms. 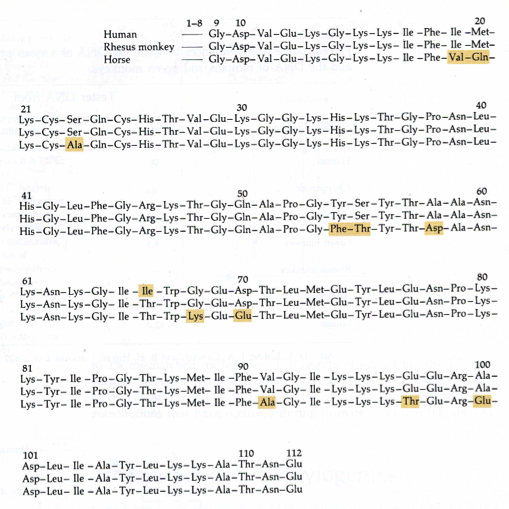 Here you have humans, monkeys, and horse [pointing to top three lines of chemical lists] and here you have the sequence of amino acids. You align them, and when you align them, you find they are mostly similar. 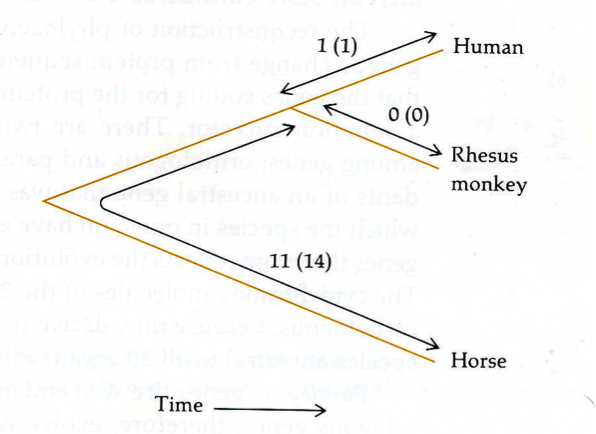 There is one difference only between humans and monkeys, and eleven or twelve between humans or monkeys and horses. Moderator: It’s getting to be time to wrap up. Moderator: Time to wrap up. Dr. Ayala: O.K., I will finish in one minute or two. 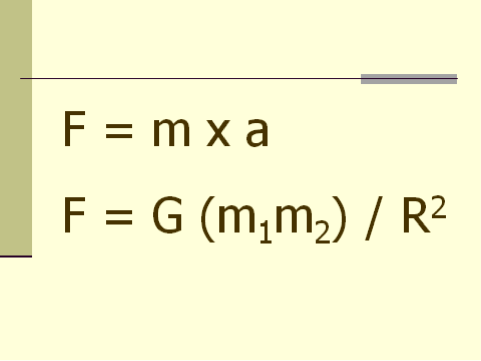 So here we have the comparison in a simple matrix. An evolution that covers two million years: one branch goes to the Yeasts and Fungi, another branch goes to Insects, another branch to the Vertebrates. Amazingly, this evolutionary tree is reconstructed with a little molecule. Now we can use thousands of genes to do this and indeed we have reconstructed the evolution of all groups of organisms in the world by these methods. Good evening! I am delighted to be participating in this evening’s debate, and I want to say what a privilege it is to be sharing the podium this evening with so eminent a scientist as Professor Ayala. Now in any debate it’s critical that we begin by clearly defining our terms. 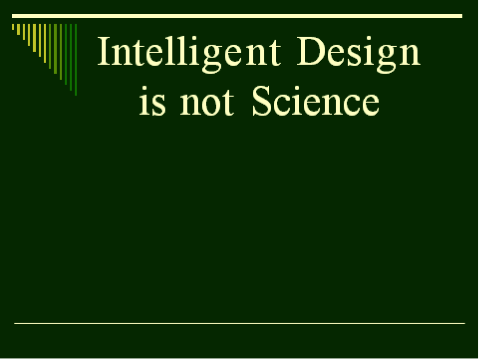 And this is especially important with respect to tonight’s topic because there’s such widespread misunderstanding of what Intelligent Design Theory is. Taken in its broadest sense, ID is the study of justifiable design inferences. That is to say, it seeks to answer the question: When are we justified in inferring that design is the best explanation of some phenomenon? ID theory is applicable in a broad variety of fields: for example, cryptography, forensic science, intellectual property protection, the Search for Extra-Terrestrial Intelligence, and so forth. Undoubtedly one of the most sophisticated accounts of design inferences comes from the mathematician William Dembski in his book The Design Inference, published by Cambridge University Press. Dembski argues that a design inference is justified when two conditions are met: first, the event to be explained is extraordinarily improbable and, secondly, the event corresponds to an independently given pattern. Dembski and other ID theorists have made the controversial claim that a design inference is warranted in the field of biology. 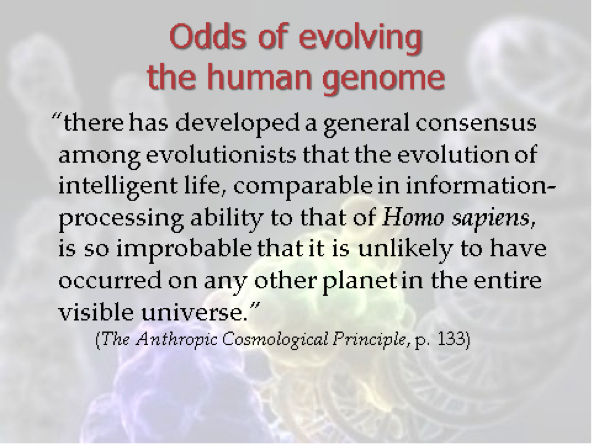 For biological organisms exhibit just that combination of high improbability and an independently given pattern that justifies an inference to Intelligent Design. Now this claim has drawn down upon ID theorists the wrath of the scientific establishment. Some, like Richard Dawkins, reject Intelligent Design out of anti-metaphysical or, rather, anti-religious motives. Significantly, however, this is not the source of Professor Ayala’s disagreement with ID. For Professor Ayala is, like me, a confessing Christian who believes that there is an intelligent Creator and Designer of the world Who has revealed Himself in Jesus Christ. Accordingly, Professor Ayala believes that the world is, indeed, the product of Intelligent Design. Now I realize that this may be disappointing to those of you who are Richard Dawkins fans, but this is not a debate tonight between atheism and theism. Rather the question is the detectability of Intelligent Design. 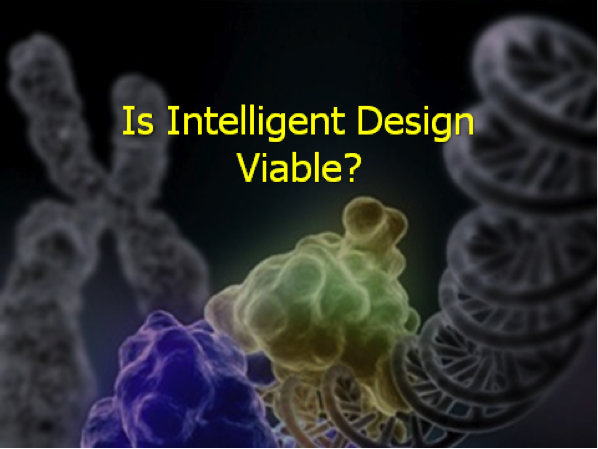 ID theorists believe that Intelligent Design is detectable in biological organisms. Professor Ayala thinks it’s not. On his view, God has, so to speak, so carefully covered His tracks by using random mutation and natural selection to create biological complexity that no inference to Intelligent Design is justified. Now I have to admit that I don’t know if a design inference in the field of biology is justified. But what I do know is that the typical arguments against Intelligent Design are either at best inconclusive or at worst fallacious. And that’s what I hope to show tonight. 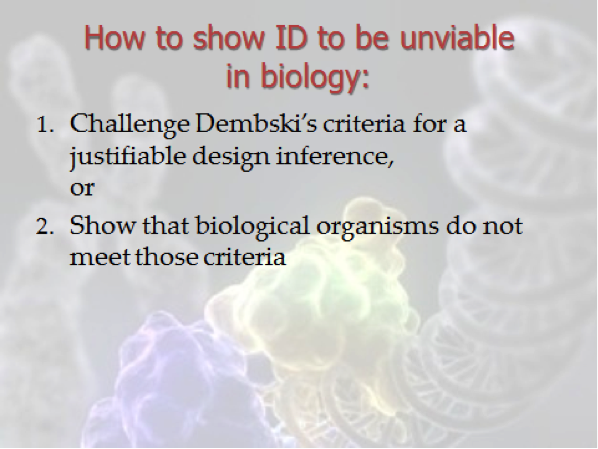 Now in order to show that ID is not viable in the field of biology, Professor Ayala must do one of two things: either (1) challenge Dembski’s criteria to a justifiable design inference or else (2) show that biological organisms do not meet those criteria. Dr. Ayala takes the second route. He claims that the evolution of complex life forms is not, in fact, unacceptably improbable, given the mechanisms of random mutation and natural selection. And therefore, no inference to design is justified. This serves to focus the debate exactly where the disagreement between ID theorists and Professor Ayala lies. 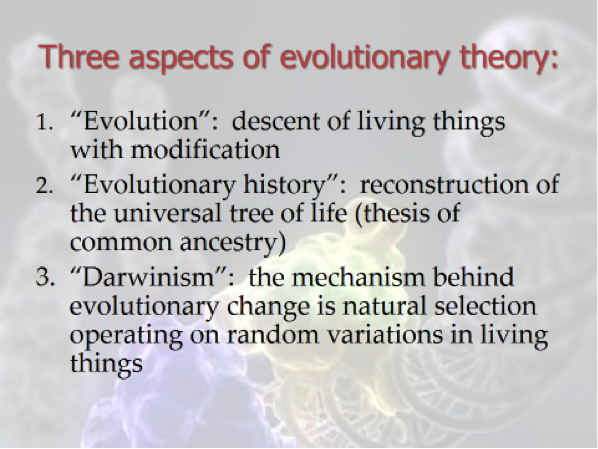 In his book Darwin’s Gift to Science and Religion, Professor Ayala distinguishes three distinct aspects of the contemporary evolutionary paradigm. The first is what he calls “evolution.” Professor Ayala defines evolution as “the process of change and diversification of living things over time.”  In other words, organisms (other than the first) are descended from earlier organisms with modifications. Second, is what he calls “evolutionary history.” This is the reconstruction of the universal tree of life, showing how the various lineages branched off from one another. Notice that this second claim presupposes the thesis of common ancestry, the thesis that all organisms are descended from a single primordial ancestor rather than from a multiplicity of ancestors. 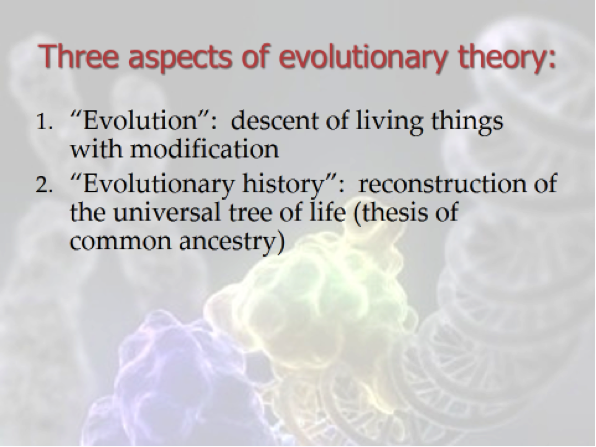 Now it’s interesting that according to Professor Ayala neither evolution nor evolutionary history (or common ancestry) represents Darwin’s unique contribution to evolutionary theory. Contrary to popular impression, evolutionary theories of life were common prior to Darwin. Now this makes it clear just where ID theorists and Professor Ayala part company. It is not on evolution or even common ancestry, but on Darwinism. In fact, prominent ID theorists like geneticist Michael Denton and biochemist Michael Behe espouse the same view of evolutionary history as Professor Ayala. They agree that all life is descended from a common primordial ancestor. What they deny is that the mechanisms of random variation and natural selection are adequate to explain this evolution of biological complexity. In tonight’s debate, therefore, I am going to focus our attention on the mechanisms of random mutation and natural selection. I am going to resist mightily the temptation to discuss the thesis of common ancestry and Professor Ayala’s arguments for it. I leave those aside in order to focus on the Darwinian mechanisms. Given the centrality of Darwinism to the debate over Intelligent Design, one would expect Professor Ayala to marshal a powerful array of evidential arguments in support of the power of random mutation and natural selection to generate biological complexity. But did you notice that all of the arguments that he presented in his opening speech were not arguments in favor of Darwinism but rather were arguments in favor of the thesis of common ancestry? It’s the same in his books. I’ve searched Professor Ayala’s writings looking for scientific evidence of the power of random mutation and natural selection to produce biological complexity and have come away almost empty handed. For example, he appeals to the experience of breeders in producing new varieties of, say, roses or dogs. But such experience obviously does nothing to justify the extrapolation of these mechanisms to the production of macroevolutionary change. Indeed, quite the contrary, the experience of breeders tends to show the limits of these mechanisms. Professor Ayala also appeals to the old chestnut of the peppered moth experiments. But all that happened in that case was that the proportion of light-colored moths in the population decreased and the proportion of dark-colored moths increased. Light-colored moths never evolved into dark-colored moths. Taken as evidence of the power of natural selection and random mutation to produce macroevolutionary change, honestly, to call such evidence paltry would be to pay it an undue compliment. Finally, Professor Ayala appeals to the ability of organisms to develop resistance to drugs and poisons through random mutation and selection. He points out how an unacceptably improbable double mutation can occur one step at a time to produce cumulative change. He then extrapolates the process to explain macroevolutionary change. But, of course, the question is precisely, can the example be extrapolated in that way? 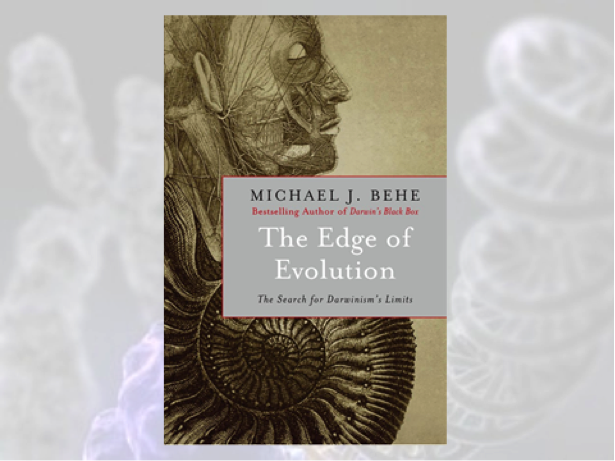 In his most recent book, The Edge of Evolution, Michael Behe argues that the very evidence of organisms’ development of drug resistance is a powerful indication of the limits of random mutation and natural selection to produce evolutionary change. For example, malaria and the human immune system have been waging war against each other for over 10,000 years. Since the advent of modern medicine, human beings have been developing anti-malarial drugs to destroy the organism (changed from bacterium). Unfortunately for us, the malarial population is huge. The average person infected with malaria has over one trillion malarial cells in his body. Therefore, malaria mutates extremely rapidly and so has been able to develop resistance to every drug we’ve hurled at it. Simple, single-point mutations are enough to make malaria drug-resistant. 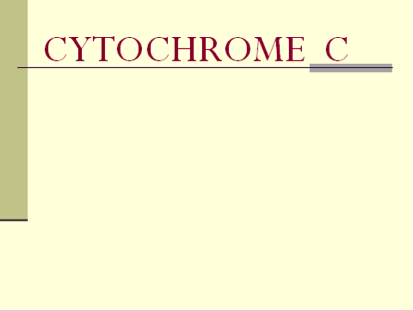 For example, a mutation in one amino acid at point 108 suffices to render malaria drug-resistant to pyrimethamine. On the other side, there’s enormous selective pressure for the human immune system to develop some sort of defense against malaria. But it hasn’t done so. Instead, what’s happened is that a mutation has occurred in the human respiratory system which makes some people immune to malaria, namely, sickle cell hemoglobin. Unfortunately, the downside is that it also produces sickle cell anemia, which is eventually deadly. Now here’s where things get really interesting. Despite its incredible mutation rate which has enabled malaria to overcome every drug we’ve thrown at it, malaria has never, in all those thousands of years and trillions of mutations, been able to overcome sickle hemoglobin. Molecular biology explains why. Resistance to a drug can result from a simple, single-point mutation. But overcoming sickle hemoglobin would require multiple, simultaneous mutations or else a sequence of mutations occurring blindly, and both are just too improbable to occur. Thus, Professor Ayala’s argument from drug resistance appears to completely backfire. 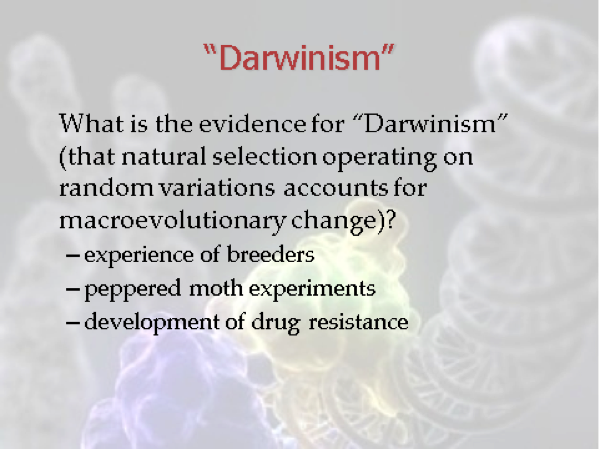 Far from providing evidence of the power of the Darwinian mechanisms to produce macroevolutionary change, our experience with drug resistance in bacteria and viruses reveals the severe limits of those mechanisms. So, again I ask, where is the evidence for Professor Ayala’s extraordinary extrapolation? Michael Behe says that “the evidence for common descent seems compelling,”  but “. . . except at life’s periphery the evidence for a pivotal role for random mutations is terrible.”  Now if he’s wrong about this, then let us hear the evidence. I am genuinely open to it. Just tell us what it is. 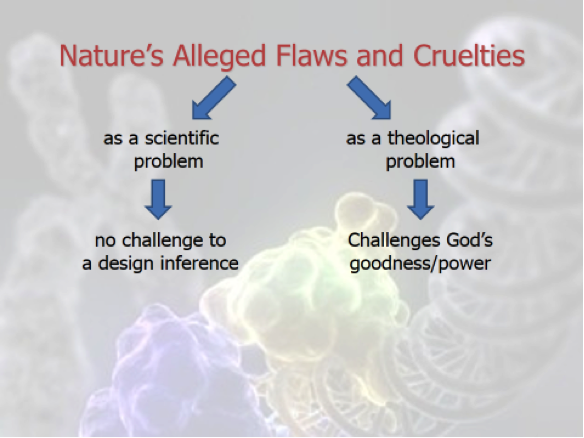 Given the weakness of the scientific evidence for the Darwinian mechanisms, it’s not surprising that in his books, Dr. Ayala quickly turns to philosophical and even theological arguments against the viability of Intelligent Design. In doing so, however, I think he makes a fundamental confusion between science and theology. Let me explain. 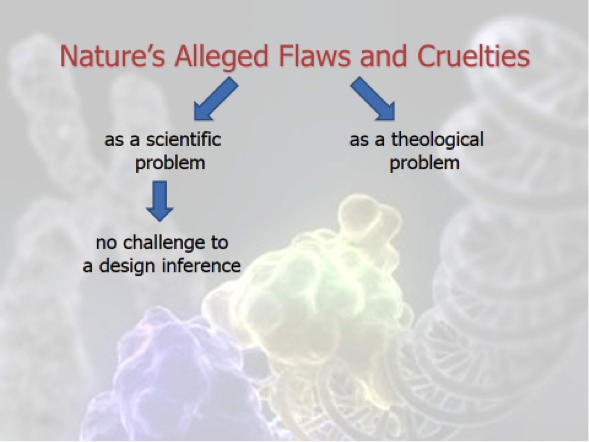 Professor Ayala’s most important argument against the viability of a design inference in biology—which I wish he had presented in his opening speech—is that organisms exhibit certain design flaws and cruel behaviors which exclude their being designed by an all-powerful, all-good God. Now this is a classic theological problem known as theodicy. Volumes have been written about it. The problem of so-called natural evil is a very important theological issue which the Christian theologian must address. 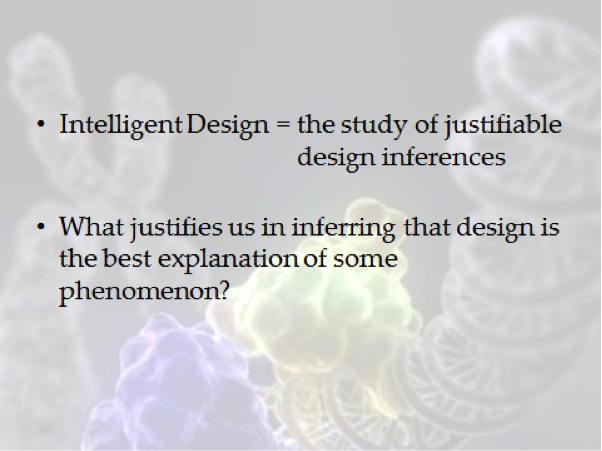 But for that very reason it is not relevant to the scientific question of whether a design inference is justified in biology. To see why, consider first the issue of design flaws. Here is a picture of an East German Trabant. It was probably one of the worst cars ever manufactured. It was full of design flaws. I actually rode in a Trabbi once while visiting East Germany, and when I tried to pull the door shut, the whole inner panel nearly ripped off! Here is a picture of a 2009 Mercedes e-class. 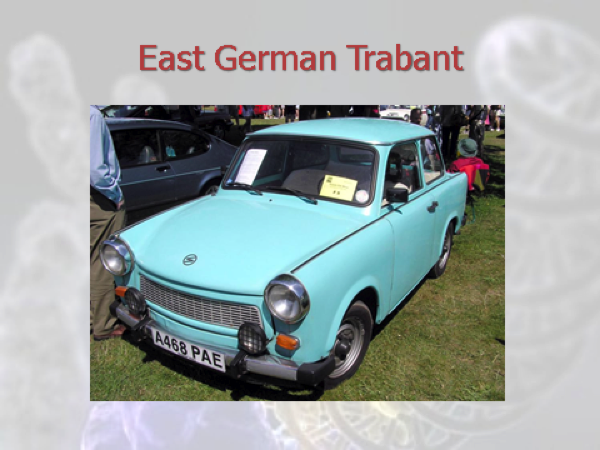 Now because a Trabant is not a Mercedes, does that mean that the Trabant was not the result of design but originated by chance? Well, obviously not! You do not have to have maximal optimality in order to exhibit design. Designs exhibit various levels of optimality, and there’s no reason to restrict design inferences to only maximally optimal designs. In fact, it would be positively foolish to do so. 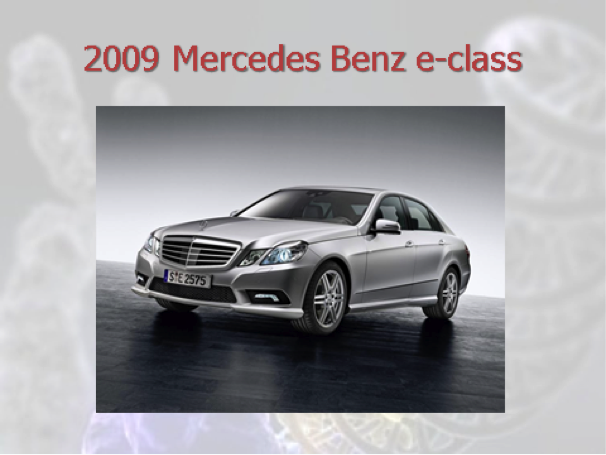 Someday the Mercedes 2009 e-class will look like a flawed design. 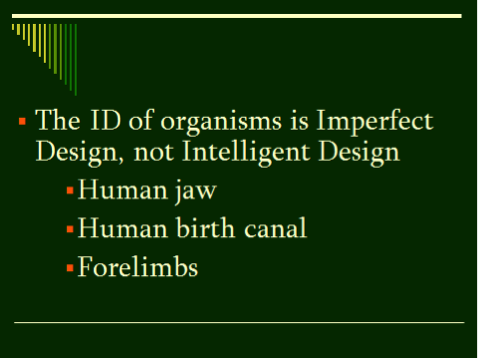 If a biological system meets Dembski’s criteria for being designed, that design inference is not nullified by the possibility of structures which could have been better designed. Consider, then, animal behaviors that strike us as incompatible with a morally good designer. To see the problem with this argument, consider a mediaeval torture rack. Would anyone take seriously the contention that this complex mechanism could not be the product of Intelligent Design because anyone who would make such a thing can’t be a very good person? Well, obviously not! The design inference has absolutely nothing to say about the moral qualities of the designer. In sum, the design inference permits no conclusion that nature’s designer is all-powerful or all-good. 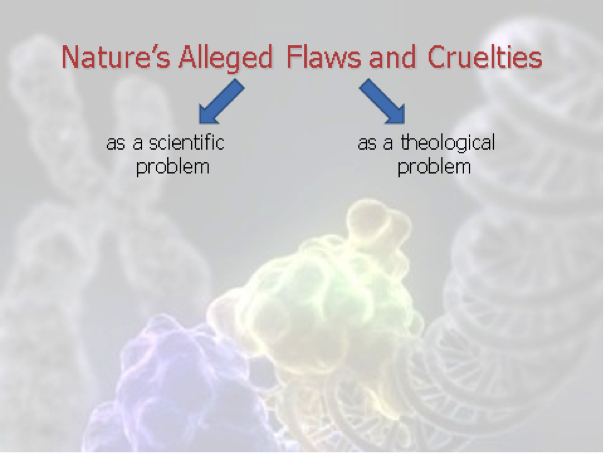 Therefore, Professor Ayala’s argument based on nature’s flaws and cruelties fails as a scientific objection to a design inference in the field of biology. The design inference says nothing about the designer’s being all-good or all-powerful. I was recently talking to the philosopher of science John Bloom, who is himself an ID advocate, about Professor Ayala’s comment that nature’s design is more compatible with the gods of ancient Greece and Rome than the God of the Bible. John thought about it a moment and then he said, “Zeus will do. Zeus will do.” In other words, even the inference to Zeus is a design inference. Case closed! In short, Dr. Ayala’s argument fails as a scientific objection. But what about as a theological objection? This is how he frames it in his book Darwin and Intelligent Design. He writes, “Intelligent Design implies attributes of God that are incompatible with Christianity;”  attributes of God that are incompatible with the God of Christianity. Now here Dr. Ayala is claiming that the designer posited by the scientific inference can’t be the God of the Bible. Now this is, indeed, an important theological claim, at least for Christians, and against it the Christian theologian may bring all of the resources of his worldview to argue that no incompatibility has been shown to exist between the biblical God and the design in nature. So suppose, for example, that the Christian theologian responds to this objection by saying that God could have independent reasons for designing a world with less than optimal structures in it. Dr. Ayala’s reply is very revealing. He admits that such a response—and I quote—“might have theological validity, but it destroys Intelligent Design as a scientific hypothesis”  because it makes the design hypothesis unfalsifiable. But wait a minute! It was no part of the design hypothesis that the designer is all-powerful and all-good. 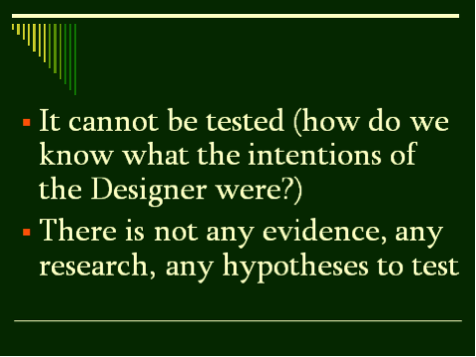 So denying those attributes to the designer would do nothing to falsify the design hypothesis. 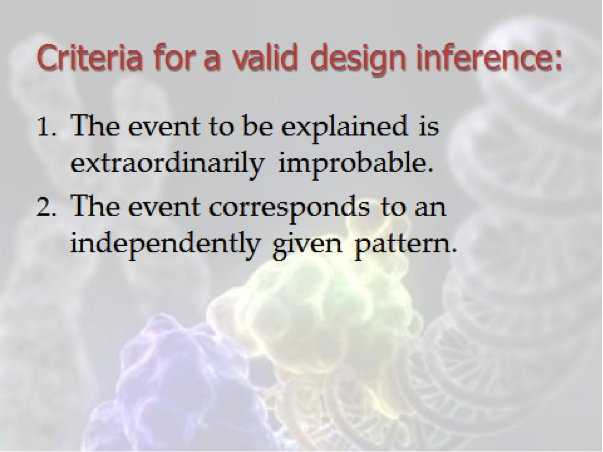 Rather the way to invalidate a design inference in biology is to show that the two criteria for inferring design have not been met. By raising instead theological objections to the design inference, Dr. Ayala is confusing science with theology. He’s treating something which is a problem for theology as if it were a problem for science, which is just confused. So where does that leave Dr. Ayala’s objection? Well, as a scientific objection it’s irrelevant. As a theological objection, he admits it’s soluble. So his objection is either irrelevant or soluble, which is just to say, it’s not a problem. Now there’s a great deal more I would like to say about the theological problem of natural evil which time won’t permit. Perhaps I’ll be able to say something more about it in my next speech. But for now I think we can conclude that the case against the viability of Intelligent Design has yet to be made. 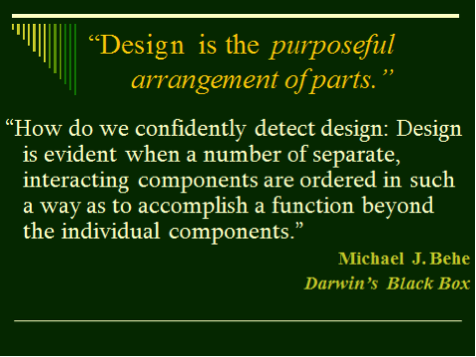 In order to show that a design inference based on biological systems cannot be justifiably made, Dr. Ayala needs to show us that the Darwinian mechanisms are sufficient to account for the evolution of all life forms from a common ancestor. That involves an extraordinary extrapolation which requires more than the weak evidence offered thus far. Theological objections to ID, however interesting and important for theology, are simply irrelevant to the hypothesis of Intelligent Design. So in his next speech I want to invite Dr. Ayala to come and share with us the evidence for that extraordinary extrapolation that lies at the heart of this debate. When the slides change—good! Very efficient people back there! Thank you! So, design by natural selection. The previous topic was evolution by natural selection. So Darwin was able to explain how design comes about by natural selection. As I said before, that is the subject of nine of the fourteen chapters–and his theory has advanced enormously. And it’s obviously not something that I can show you here, all these thousands of pieces of evidence and thousands of works of theoretical work in a single lecture. But let me view for a moment his theory. He says, “As more individuals are produced than can possibly survive . . . can it be thought improbable, seeing that variations useful to man have undoubtedly occurred. . . .” He’s referring to the first chapter of the book where he tells of the experience of farmers and animal breeders where they take variations which are hereditary which occur in the organisms, to utilize for our own benefit, for human benefit; to have wheat which has more grain, or cows that produce more milk, or chickens that lay more eggs. The point here is only demonstrating that hereditary variations occur. He is not arguing anything else other than that in the first chapter. In fairness to Darwin, I should let you know that Darwin didn’t write that with a Spanish accent. [Laughter] I did that for color. So, here is the kind of example that I would like to show to you a little bit, to show how mutation and natural selection interplay. This particular experiment . . . the slide seems very imposing and difficult, it isn’t, I will explain it. But, I like this experiment because this is the kind of experiment that we were doing in 1961 when I came to this country as a student at Columbia University. We were trying to do a number of things; one is how natural selection will work with microorganisms. And also we were trying to estimate rates of mutation. It was a time when what’s now call molecular biology did not exist as a formal discipline, so this was done in courses which were known as bacteriology. This experiment is very simple. One uses a test tube, a small test tube, capacity 10cc or 10 milliliters, to grow bacteria. Now, bacteria, in order to grow, what they need is a source of energy, sugar. So all what one needs is to have a sugar solution in water [and] to introduce bacteria for them to grow. They are able to synthesize all their biological components, all their organic components; we are not. They, for example, can synthesize the 20 amino acids that make all proteins; we are only able to synthesize half of them. We have lost over evolutionary time the other half, so we have to eat protein because we are not able to synthesize it. Bacteria are able to synthesize all the components, so one does not need to give them food, just a source of energy, [which] is sugar. Now the bacteria that we are introducing in this experiment is E. coli; it’s the common bacteria of the human colon, which means that if something goes wrong with the experiment you don’t get sick. Now these bacteria have a mutation that makes them unable to synthesize one of the amino acids, histidine. [Ayala is pointing to the word “his” on the top line of slide, line 1.] So one has to put histidine in the medium also. They also are sensitive to streptomycin [pointing to “strep” on line 1] an effective antibiotic for bacteria that have not been exposed to that antibiotic before. So one introduces a few bacteria in this water solution of sugar with histidine and in a couple of days (or less, typically depending on the temperature) about 20 billion bacteria will be produced here [pointing to “ 20x109 ” on line 2]. Now we move the bacteria for the experiment we are doing to a culture where there is no histidine, and the bacteria die, as we would die if we would not be fed the proper amino acids. But not all bacteria die, because the probability of the mutations from not being able to synthesize histidine [“his—”on line 6] to being able to synthesize it [“his+” on line 6] occurs with [a frequency of] four in a hundred million [“ 4x10-8 ” on line 6]. 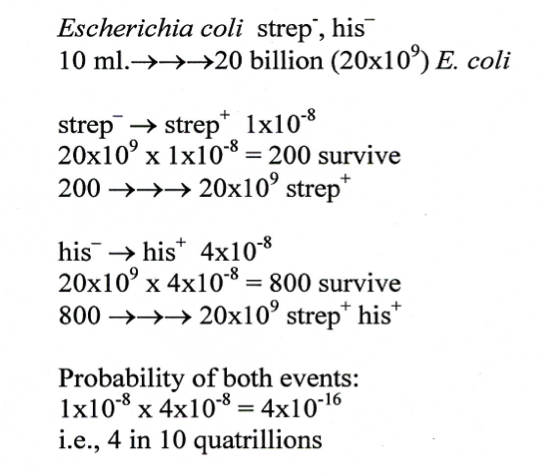 Some 800 bacteria survive [line 7] and two days later you have 20 [billion] bacteria [pointing to line 8], all of them having the two attributes [resistance to streptomycin and ability to produce histidine], which have been independently established. I have established them independently because their joint origin is an extremely improbable event. The two requirements of Dembski are met. Four times ten to the minus sixteen [pointing to “ 4x10-16 ” on line 10]. Four divided by one followed by sixteen zeros [pointing to line 10]; in four days. Well, let me give you some examples of nature, some simple examples of nature of how natural selection works. 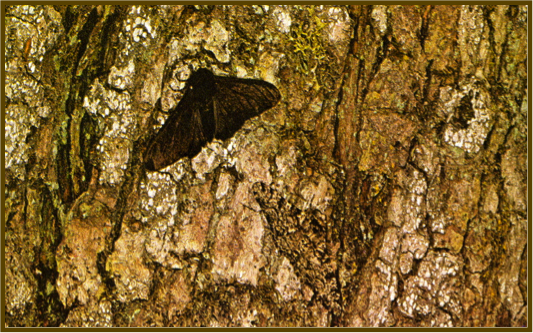 And the first example is the one of Biston betularia, the peppered moth, that Professor Craig has alluded to. 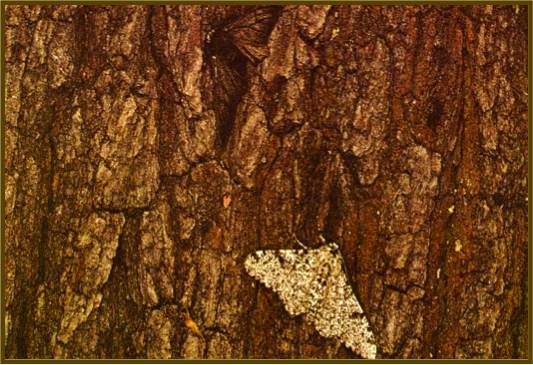 Here you have the wild, typical peppered moths [pointing to the lighter camouflaged moth] standing on a tree in a wood forest in England which is covered by lichens. And as you see she is very well colored cryptically [outlining the shape of the hidden moth again] because she matches the background. Mutations occur to the melanic form [pointing to the dark moth] with frequency of about ten to the minus five or six, somewhat higher than the ones in the bacteria. Whenever the melanic form appears under these conditions [again pointing to the dark highly visible moth] it is eaten readily. The main predators of these moths are birds who see very much the way we see. So obviously we see this [pointing again to the dark moth] and they will eat it. So up to 1850 no dark bacteria, no melanic moths have been found in collections of England. But then they start to appear and start to increase in frequency more and more. What had happened? The industrial revolution; contamination, soot, had killed the lichens and had given a color to the trees like this [pointing to the dark bark of the tree]. And under those conditions the dark moth is not very visible; the common moth is. So these are common moths [pointing to the light colored moth] and are eaten more often. And so things start to change. The black moths increase in frequency. In the 1960s in Britain some strict laws are passed against using coal in factories and the situation reversed itself again. So evolution is reversible in response to natural selection. Now one of the best places to study evolution by natural selection is in archipelagos which are very isolated from the nearest continents. 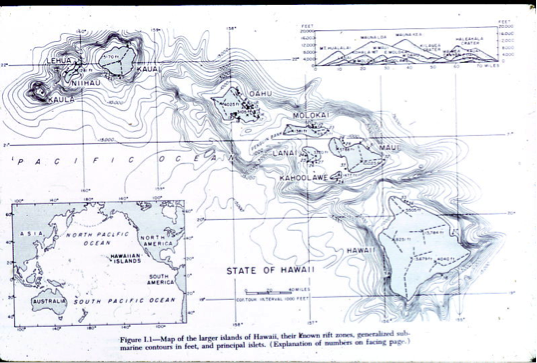 No archipelago is more isolated than the Hawaiian Islands, 2000 miles away from where I live in southern California. Now the Hawaiian Islands had all formed here [pointing to the southeastern area of the largest and most southeastern island, the island of Hawaii] where the Kilauea volcano is active right now. And then there is something else that is happening, and [it] is [that] they are sitting on a tectonic plate, the north Pacific tectonic plate. So the islands are moving northwesterly as they are being formed. If there is some time when there are no eruptions, you have a new island being formed. If some time passes, but not too much, you have several mountains as you have in Mauna Kea and Mauna Loa on the big island. 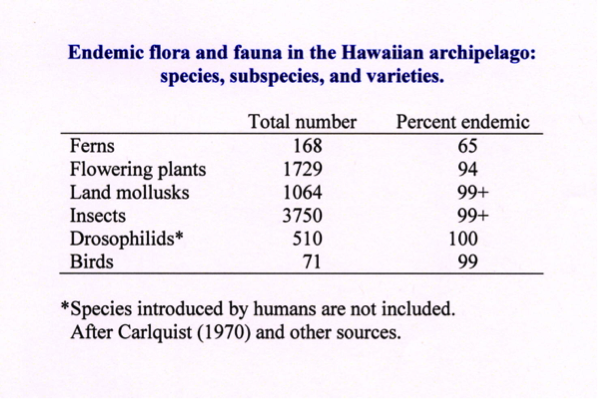 So you look at the kinds of organisms in Hawaii, and what happens? There are no mammals; there are all sorts of organisms that are absent because they never made it through the 2000 miles from the continent. Since the continents are where most of the evolution occurs. Yet you have a few organisms like the drosophila [the fruit fly] of which 500 species occur there. And they’re more diversified there in the kinds of foods that they eat, the ways they mate, their ways of life, than the rest of the world together. The area of Hawaii is about, what, 25% of the area of Indiana? Twenty five percent of all of the species of the two thousand species that exist in the world exist there in Hawaii. Darwin was not lucky enough to be in Hawaii, but he visited the Galapagos Islands. "Galapago" is the Spanish word for tortoise. These are huge land turtles [pointing to one of the tortoises] that weigh as adults 300 pounds and more. He found that they were diversified on each island, because they were isolated. 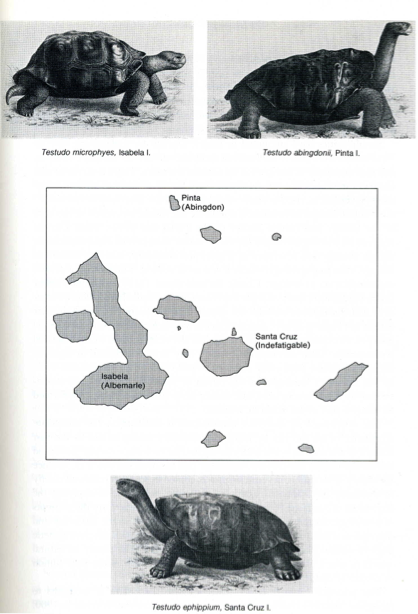 As a consequence of natural selection they adapted to the local conditions to the extent that the Spanish sailors could tell Darwin from which island a particular tortoise came just by looking at it. 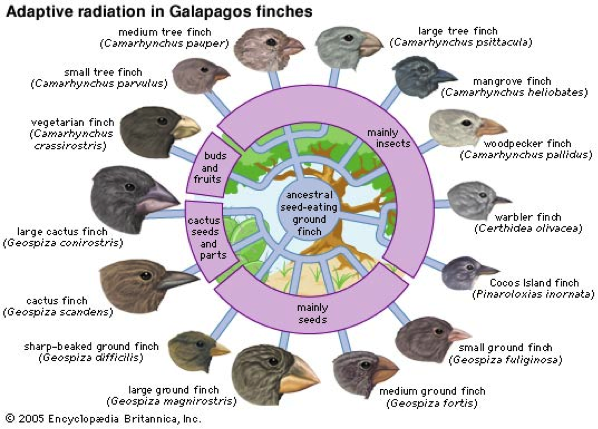 And then Darwin studied evolution there for other organisms, particularly finches. There is only one species in western South America. The Galapagos are about 600 miles away from South America. And here you have all these species from very tiny ones to very large ones with different kinds of beaks. So now let me choose the last minute that I think I have to consider a little bit of the argument of irreducible complexity presented, for example, by Behe. Unless you have all the parts of the eye, all the parts of the bacteria flagellum, or all the parts of the blood clotting system, it doesn’t function. So he says natural selection cannot work because you have to have all the parts at the same time. For all of the examples he gave you earlier, it has been shown in detail how evolution occurred. And I am going to show you with respect to the eye. He says that unless all the parts come about at the same time, a complex organ cannot function. Paley said it, Paley said it before natural selection was known, before Darwin. Behe knows about natural selection. That’s why he says it cannot happen a little bit, one step at a time. This is the eye of a mollusk known as a limpet. We don’t need to study fossils to know the evolution of the eye. 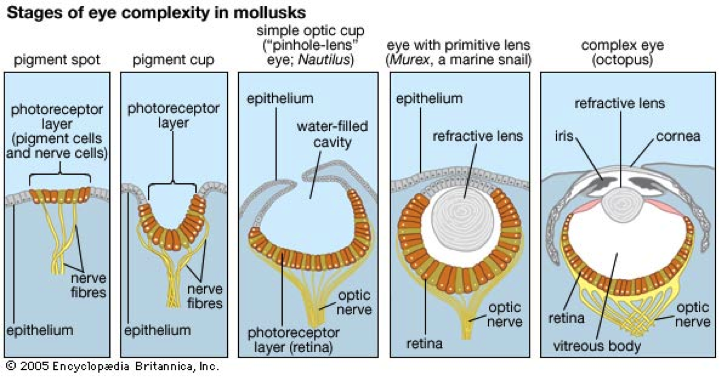 We can look to living—look at living mollusks. Because they are a very diversified group of organisms for some of which the environment has not changed, so they didn’t need to evolve. These are small mollusks about the size of my thumb nail; which are conical and they live in the intertidal pools. All that they need is to know whether there is light or not, because, if there is light the tide is down and then they can go around grazing. If it is dark, the tide is in and they attach themselves to the rocks. You can try to grab them, but you cannot move them, because they are able to attach themselves to the rocks with great strength. They don’t want to be carried by the tide, because otherwise they will die. 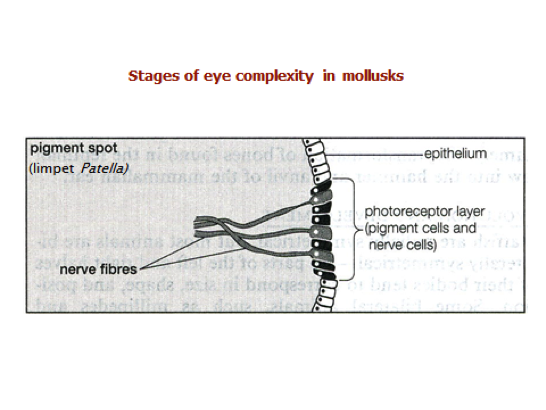 Well, here you have another mollusk which not only can see whether there is light or not, but can also detect movement. Then you have another one with a little more complicated retina, a little more complicated nervous system, a kind of an opening for light so it can see the direction of light as well as movement. And another one. Finally, the octopus or the squid; which are also mollusks, which have an eye like ours; a camera eye as complex as ours. But they don’t have the defect that we do. You remember that we have a blind spot because the optical nerve has to cross the retina to go to the brain. They [the octopus] don’t have to do that because the nerve forms outside. 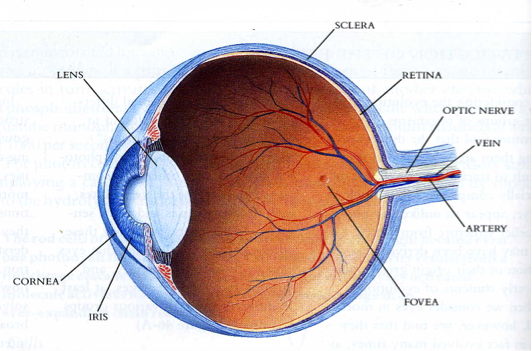 The nerves form on the outside of the eye not the inside such as in human and other vertebrate eyes. Forming on the inside, the human nerve needs to cross the retina to reach the brain, at a point that becomes a blind spot, a defect octopuses don’t have. So if I were to be a defender of Intelligent Design, I would have to argue that somehow God loves octopuses and squids more than he loves humans, which I don’t find very comfortable. 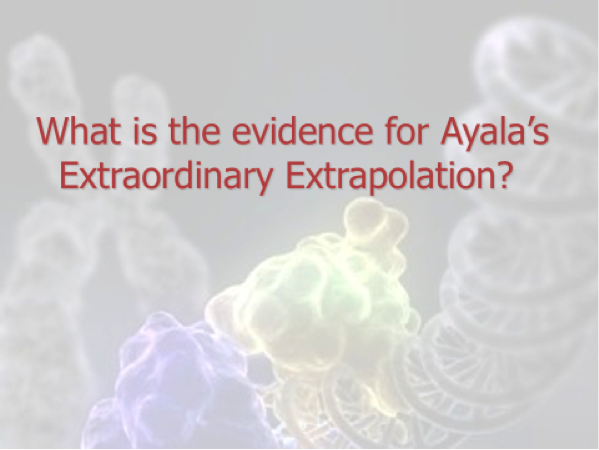 You’ll recall that I concluded my opening speech by asking the question, what is the evidence for Professor Ayala’s extraordinary extrapolation? Before we look at the evidence, I think it’s worth emphasizing just how extraordinary an extrapolation it is. Many of us probably think that if random mutation and natural selection can explain, for example, the evolution of the horse, then that surely shows the power of the Darwinian mechanisms. In fact, evolution within a single kind like this is nothing compared to the vast range of life. You might think, well, if we could show that random mutation and natural selection could explain, say, how a bat and a whale evolved from a common ancestor, wow, that would really show the power of these mechanisms! Sorry! Think again. Slide 33 shows the major groups or phyla of the animal kingdom. Notice that a bat and a whale are both mammals, which is just one of the subcategories under the chordates. Even the evolution of a bat and a whale from a common ancestor is an utter triviality compared to the vast range of the animal kingdom. It would do nothing to explain, for example, how a bat and a sea urchin evolved from a common ancestor, not to speak of a bat and a sponge. This represents an extrapolation of gargantuan proportions. Indeed, it represents an enormous leap of faith in the efficacy of the Darwinian mechanisms. Now if this extrapolation takes your breath away, get a load of this! Slide 34 please. The whole previous slide you just looked at is contained on the little twig of the right hand branch labeled “animals.” I love the modesty of that label, “animals.” The whole of the animal kingdom is contained in that little twig. And notice the twig to the right of it: “plants.” “Plants!” The whole of the plant kingdom is contained in that twig. And these are just two twigs on the branch of Eucaryotes. 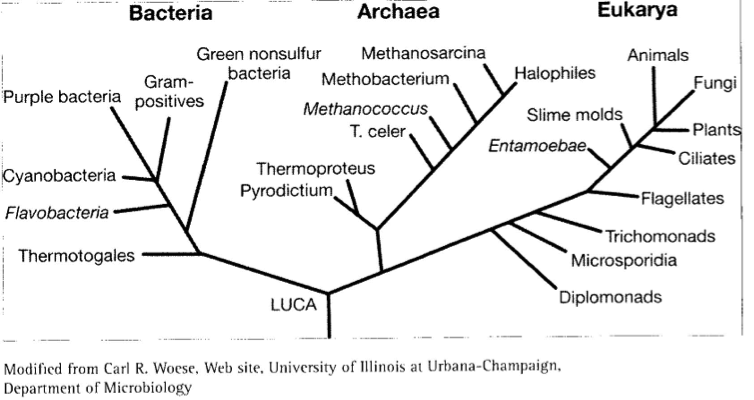 There are still the two other domains of the Bacteria and Archaea to be accounted for. The extrapolation of the Darwinian mechanisms from peppered moths and fruit flies and finch beaks to the production and evolution of every living thing is a breathtaking extrapolation of gargantuan, brobdingnagian proportions. So, again, I think we are compelled to ask, what is the evidence for this extraordinary extrapolation? Well, in his last speech, Dr. Ayala discussed some of the evidence for natural selection. He simply reiterated the evidence concerning breeding. But as I already explained, the experiments with breeders actual show the limits of breeding. For example, despite decades of effort, breeders have never been able to get chickens to lay more than one egg a day. Breeding actually shows the limits of what natural selection and mutation can do. As for the peppered moths, he didn’t respond to the point that no change in the moths occurred at all. There was no evolution in moths. He then talks about E. coli and the development of drug resistance. But this completely failed to respond to the argument that I gave that drug resistance is easy for bacteria to develop because it requires only simple, single point mutations. By contrast, the malaria bacterium [correction: organism] has never been able to overcome sickle hemoglobin because it would require multiple mutations or a sequence of mutations occurring blindly, and this is just too improbable. He refers to work on the bacterium E. coli; however, I want to point out that just last month in Nature, Richard Lenski and his colleagues published the results of their research on 40,000 generations of E. coli grown in the laboratory. And what they discovered is that while there were a couple score of beneficial mutations that occurred in these E. coli bacteria, nevertheless, these were degradative in nature, degenerative in nature. That is, they involved the loss of genetic information, or the loss of protein function. There is no indication that these bacteria were on their way to building new complex systems. So Lenski’s work lines up very well, exactly, with what ID predicts. In a huge numbers of tries, one sees minor changes, mostly degradative, but no new complex systems evolve. And Lenski’s work is again tangible evidence of what Darwinism can do rather than leaving us to debate speculative scenarios. Malaria, HIV,and E. coli represent three fundamentally different forms of life; a Eucaryote, a virus, and a Prokaryote. And in each case the evidence for the efficacy of the Darwinian mechanisms is the same: it doesn’t do very much. So I simply ask again, what is the evidence for this extraordinary extrapolation that the Darwinian makes? Well, Dr. Ayala says there is speciation that occurs in fruit flies in Hawaii. Yes, and this is well within the limits of what the Darwinian mechanisms can achieve. This is probably due to genetic drift of the flies among the islands. He appeals to finch beaks of different sizes on the Galapagos Islands. But like the peppered moths, nothing really evolved here. It’s just that the proportion of finches with large beaks increased during the dry season or the drought, and the proportion with small beaks decreased. Once the rains came again, the normal beak proportions returned among the population of finches there. He argues against Michael Behe on the evolution of the eye. But what struck me as so odd about this is that if you read Darwin’s Black Box by Michael Behe, on pages 37-38 of Darwin’s Black Box, Behe says that the eye is not irreducibly complex and therefore this is not one of the examples to which he will appeal in his book. He says, “The muscles that focus the lens or turn the eye function as a contraction apparatus which can be applied to many different systems. The perception of light by the retina is not dependent on them. Tear ducts and eye lids are also complex systems, but separable from the function of the retina.”  And so on and so forth. 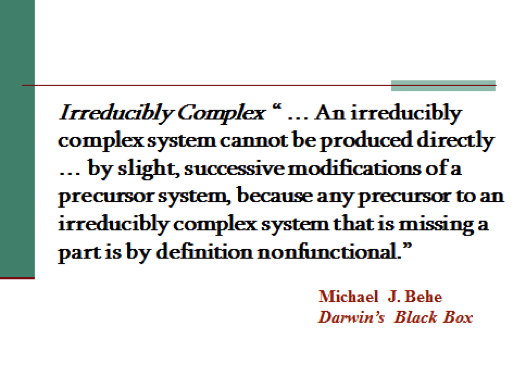 So you will find nowhere in Darwin’s Black Box Michael Behe appealing to the eye as an irreducibly complex system. On the contrary, he says it’s a system of systems. And so Prof. Ayala’s objection simply doesn’t engage ID theory responsibly. Indeed, I find this, quite frankly, to be very typical of the critics of ID. They don’t engage these theorists responsibly and in detail. Rather they offer easy, dismissive refutations that don’t really take their work seriously. So when I, as an objective observer, look at the evidence as an objective observer, it seems to me that I haven’t been shown any good reason to think that the Darwinian mechanisms are sufficient to explain that extraordinary diversity of life that we see on this planet during the time available. In their book The Anthropic Cosmological Principle, physicists John Barrow and Frank Tipler list ten steps in the course of human evolution, each of which—each of which—is so improbable that before it would occur the sun would cease to be a main sequence star and would incinerate the earth. These include things like the development of DNA-based genetic code, the evolution of aerobic respiration, evolution of glucose fermentation to pyruvic acid, the development of an endoskeleton, and so on and so forth: Ten steps in the course of the evolution of Homo sapiens, each of which is so improbable that before it would happen, the sun would go through its stellar evolution and incinerate the earth. But that raises the question, then, why think that it has evolved on this planet by these Darwinian mechanisms? Indeed, doesn’t the evidence suggest just the opposite? In fact, Tipler himself now believes that the evolutionary process must have been guided. 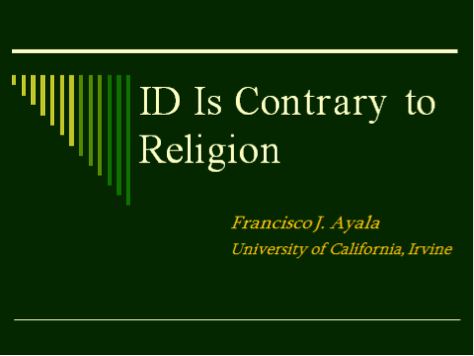 So the question remains, how can Professor Ayala maintain, in light of the evidence, that ID is not even viable? Notice that tonight I am not arguing for the truth of ID. I am agnostic about that; I don’t know if ID is justified in the field of biology. But what I haven’t seen is good evidence to think that it’s not even viable. It seems to me that ID remains an alternative that deserves a place at the table. So why think that ID is not viable? 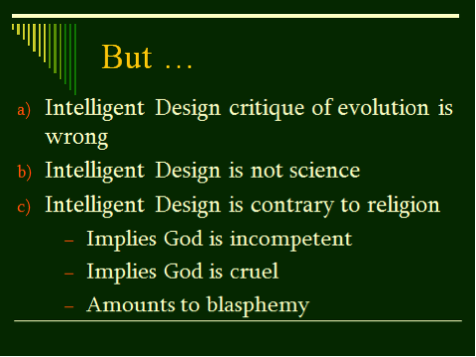 Well, that takes us to Professor Ayala’s theological objections to Intelligent Design. 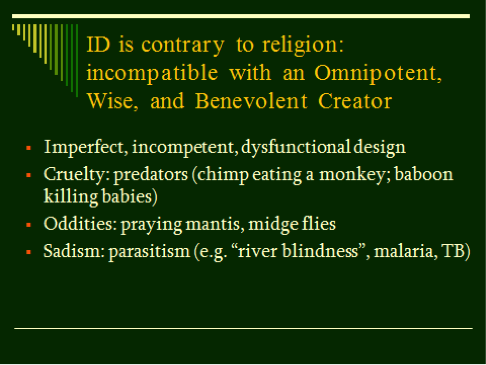 In the absence of good scientific evidence for the adequacy of the Darwinian mechanisms, the critic of ID has to resort to theological objections. But as I explained in my first speech, these are simply irrelevant to the scientific design inference because that inference says nothing about the moral qualities of the designer nor about the designer’s being all-powerful. So these questions, though interesting and important for theology, are not relevant in tonight’s debate in assessing the viability of Intelligent Design. I hope to address that theological question on my website  this coming week, since I haven’t had time to discuss it in tonight’s debate. But for now I think we can conclude that, absent scientific evidence for the adequacy of the Darwinian mechanisms to explain the vast display of life on this planet in so relatively short a time, Intelligent Design remains a viable player in the field of biology. OK, yes, yes! Let me tell you, just for the record, there is no absence of evidence for the mechanism of natural selection for evolution. Hundreds of books, thousands and thousands and thousands and thousands of articles made by thousands and thousands of people who know how to use the scientific method, which consists of making predictions and testing them one at a time. No extrapolation; testing! Let me tell you that one of my arguments against Intelligent Design as I formulate in that book, Darwin’s Gift to Science and Religion—it’s scientific, and I have—most of the chapters are scientific—I have philosophical arguments, and I have separate chapters dedicated to the philosophical arguments, and there are theological arguments, religious arguments. And these are the ones that I think should matter most to people of faith. Because the theory of Intelligent Design accomplishes exactly the opposite of what it intends. I know that the proponents of Intelligent Design are by and large people of good faith, and they think that science demonstrates the existence of God, which is a good thing. But that is not what happens. The implications of Intelligent Design are profoundly anti-religious. And I think that is an important reason, a religious reason—there are scientific reasons too, and philosophical—but there is religious reason to reject Intelligent Design. And this is what I want to tell you now. 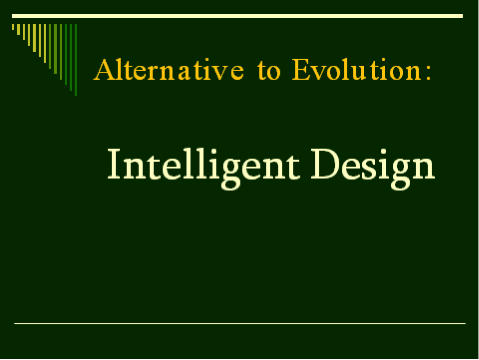 So [an] alternative to evolution; Intelligent Design. Very briefly, just for the record, here is Behe’s statement: “we detect design” “when a number of separate interacting components are ordered in such a way as to accomplish a function beyond the individual components,” as it happens in the eye, for example. But also in the flagellum in the bacteria that he discusses, and the other examples. And they all have been explained in detail how they have evolved one step at a time like in very large detail [as] I have told you about the eye. 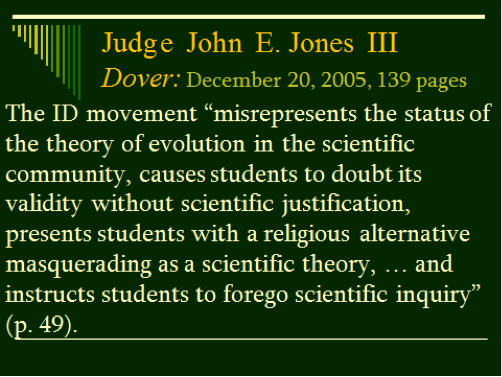 So the critique of evolution is wrong [pointing to the first line]. I have been arguing that, because it cannot be tested [pointing to the first line of the slide] precisely for the reasons that Professor Craig said. How do we know the intentions of the designer? Maybe the designer doesn’t want to make things perfect; he wants to make them imperfect. So we cannot do anything with statements of that kind in science. We have to be able to make predictions as to what should be tested. And there is no evidence. You know, in 1998 Phillip Johnson, Emeritus Professor of Law at the University of California in Berkeley, said, well, I agree that there is no evidence for Intelligent Design but “give us five or ten years.” Ten years went by, there is no evidence. And now my main point, final point, I.D. is contrary to religion. And this is a very personal view. And I want to convince you, I want to let you know, how I see things and why I see Intelligent Design as extremely dangerous and destructive to religion. Look at the human jaw. It’s not big enough for the teeth. So we have the wisdom teeth removed. And the dentist has to straighten the other ones: Intelligent Design? An engineer that designed the human jaw would have [been] fired the next day. I don’t want my God, you know, omnipotent, omnibenevolent, to have designed the human jaw, or the human birth canal. Look what happens in the world of nature, when—to take one example—when a baboon that is a male who lives in a troop—in a group of typically a male baboon, a dominant baboon, with 15-20 females, most of them with infants, which are lactating—when the baboon is killed, the dominant male, by another baboon, or is replaced, or somehow he disappears, and another baboon takes over, another male baboon. That male baboon that comes in, the first thing he does is to kill all the babies. This is exactly what you would expect from natural selection because the male baboon that does that will transmit his genes more effectively to the following generation. Once the babies are killed, the females go into estrus, so now they are going to carry the genes of that baboon. The genes of the male baboon [that] killed the babies are the genes that are transmitted more effectively to the next generation. I prefer to see this as natural selection rather than as a consequence of design by an Intelligent Designer, by the creator. 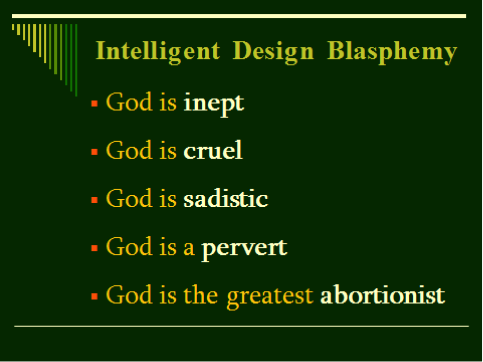 Well, so I think the Intelligent Design implications are blasphemous [pointing to the first and following lines on the slide]. Because they imply that God is inept, like in the design of the jaw and everything else. Every part that we can look at of the human being or any other animal or plant we can see is incompetently designed. And there is cruelty, as in the baboon. I have not gone into this other elaboration, elaborating these other points [pointing to the lines “God is sadistic,” or “God is a pervert”], but look, parasites exist only for the purpose of destroying their hosts. They cannot live but by killing. I don’t want the God of benevolence and the omnipotent God to be given the credit for having made that creation. But look at this last point. At least twenty percent of all human pregnancies end in abortion, spontaneous abortion during the first two months of pregnancy, because the human reproductive system is a mess. It is so poorly designed that 20% of the babies die within the first two months. Twenty percent of all babies? One hundred million babies born per year in the world; twenty million abortions, babies that are never going to come to live? Attributing that to—attributing the design of human beings to the Creator implies that the Creator is responsible for the 20 million abortions per year. I don’t want to have anything to do with ideas that have that implication. So that’s why I think evolution is a great gift to religion. You know, with the beginning of science, when Copernicus and Galileo and Newton came about, there was a big breathing among many—breathing among many theologians. Because now when a tsunami happens and kills two hundred thousand people in Indonesia, we don’t have to say it’s God punishing the Indonesians. Or when an earthquake happens in China and kills 50 thousand Chinese just last year. The Indonesian tsunami was three or four years ago. Or when Vesuvius erupted and destroyed completely Pompeii and Herculaneum, we don’t have to say it was God causing these deaths, it’s natural processes. And the same with the living organisms, when we have 20 million spontaneous abortions per year in the world, we don’t have to say they are due to God’s design. They are the result of natural processes. That’s why, again, I say that evolution is Darwin’s gift not only to science but to religion. 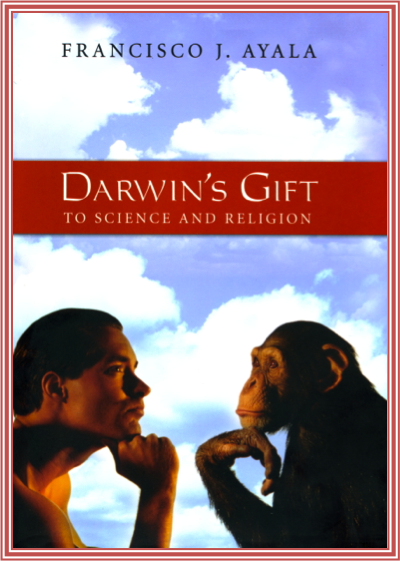 And I have written this book, Darwin’s Gift to Science and Religion. Thank you! Well, it looks as if I am going to wind up talking about theology after all tonight because Dr. Ayala has in his last speech deserted the scientific arguments and gone exclusively for the theological arguments against ID. And I find it very ironic that in tonight’s debate between a biologist and a theologian, the theologian wants to talk biology and the biologist wants to talk theology! But let’s do that. 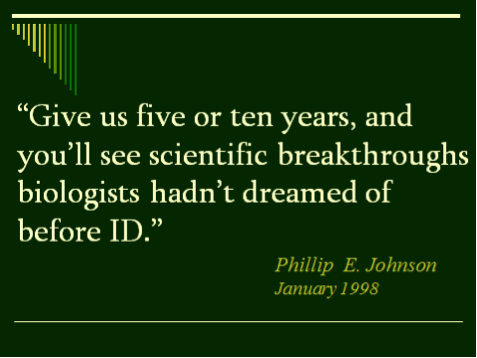 We’ve not seen any good scientific evidence tonight to think that ID is not viable. So what about these theological objections? Even though I think it’s strictly irrelevant, I’ll talk about the theological problem of natural evil. First, let’s talk about design flaws in nature. There are various ways in which the Christian theologian might respond to these. First, he might challenge the assumption that these alleged flaws are really flaws at all. Take, for example, the common claim that the placement of the optic nerve in the human eye is flawed. Might God have a good biological reason for so designing the eye? Yes, indeed! As Michael Denton explains, the difference in the placement of the optic nerve in the human eye in comparison with the cephalopod eye is because of the need for a greater supply of oxygen in warm-blooded animals. So this alleged flaw turns out not to be a flaw at all. Over and over again, we have found that what we had at first thought were flaws in nature's design have, with greater understanding, turned out not to be flaws at all. 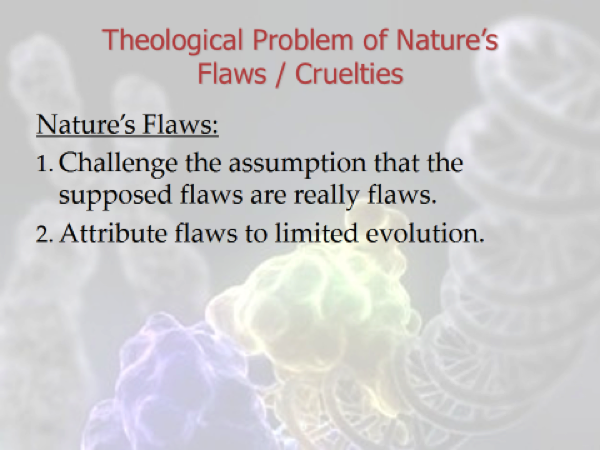 But suppose that there are flaws that seem to be the result of natural selection. Fine! Even special creationists usually hold that the “kinds” created by God in Genesis were on the biological level of the order or family, and that evolution took over from there. So, for example, God created the common ancestor of the family Ursidae, or the bear family, which has since evolved into eight different species. It’s hardly surprising, then, that one species of bear has evolved the so-called “Panda’s thumb,” which is sometimes touted as a design flaw, namely in the species of the Panda. And it hardly needs to be said that theologians who don’t embrace special creationism but accept the thesis of common ancestry are not at all surprised that organisms would bear the design imprint of their ancestors. So I don’t think this argument from design flaws is a very serious theological problem at all. What, then, about animal behaviors that strike us as cruel? Once again, even creationists embrace evolution within broad kinds, which permits organisms to change. For example, pathogenic, or disease-producing bacteria were once free-living organisms which evolved to become pathogenic parasites. Genome sequencing has revealed this to be a sort of “devolution” characterized by a massive loss of genes. Now, of course, this appeal to limited evolution within broad kinds won’t ameliorate the general problem of animal suffering. But this is a theological problem which also afflicts Professor Ayala’s view as well. Dr. Ayala seems strangely oblivious to the fact that when, in his book, he quotes David Hull to the effect that “the God implied by evolutionary theory . . . is careless, wasteful, indifferent, almost diabolical,”  Hull is talking about Dr. Ayala’s God! So Darwin’s so-called “gift,” I think, may well turn out to be a Trojan Horse! Thus, theologians of all stripes have to face the problem of animal suffering. And here studies in biology have provided, I think, surprising new insights into this old problem. In his book Nature Red in Tooth and Claw, Michael Murray distinguishes three levels in a hierarchy of pain: Level 1 is information-bearing neural states which are produced by noxious stimuli, resulting in aversive behavior. Level 2 is a first-order, subjective awareness of pain. And then Level 3 is a second-level awareness that one is oneself experiencing (2). Now spiders and insects—the sort of creatures exhibiting the kinds of behavior mentioned by Professor Ayala, like praying mantises—experience (1); but there’s no reason at all to attribute (2) to such creatures. It’s plausible that they aren’t sentient beings at all, having some sort of inner subjective experience. That sort of experience plausibly doesn’t arrive until you get to the level of vertebrates. But even though higher animals do experience pain, nevertheless the evidence is that they don’t experience level (3), that is to say, the awareness that they are themselves in pain. For the awareness that one is oneself in pain requires self-awareness, and this is connected with the pre-frontal cortex of the brain—which is missing in all other animals except for the humanoid primates. And thus, even though animals may experience pain, they are not aware of being in pain. God in His mercy has apparently spared animals the awareness of being in pain. Now this is a tremendous comfort to those of us who are pet owners! Because it means that even though your cat or your dog may be in pain, he or she really isn’t aware of being in pain, and therefore your dog or your cat doesn’t suffer the way you would if you were in pain. 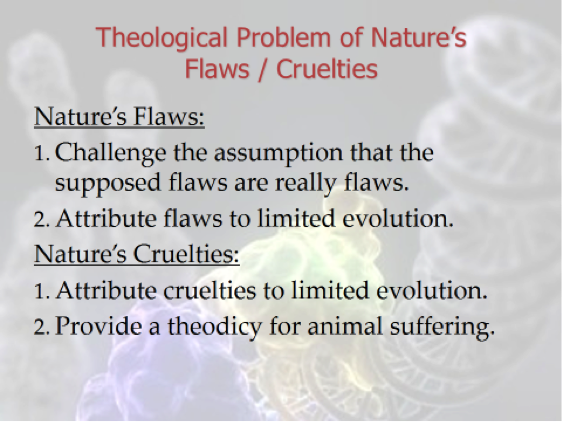 And what this also means is that arguments like Dr. Ayala’s based upon nature’s so-called cruelties are guilty of the fallacy of anthropopathism, which is ascribing human feelings to non-human entities. We humans have an inveterate tendency to ascribe personal agency to non-human creatures and even to objects. We talk to our cars, to house plants, to computers. When we attribute agency and pain awareness to animals, we commit the fallacy of anthropopathism. Now, of course, the question still remains, for both Professor Ayala and myself, why did God create a world featuring an evolutionary prelude to the appearance of man? And I suspect that the answer to that question is going to have to do with God’s wider plan for humanity, with His desire to create an ecosystem where autonomous human agents can flourish and make an uncoerced decision to embrace or reject God’s offer of saving grace. But a discussion of theological questions of that sort would take us very far afield this evening. Finally, let me comment on Dr. Ayala’s claim that ID is not science. For me it’s really a matter of relative indifference whether you class a design inference in biology as science or not; the important question is whether such an inference is warranted, and that can’t be decided by mere definitions. Our esteemed moderator, Bradley Monton, in his recent book says, “Even though I am an atheist, I want to defend Intelligent Design by taking issue with this line of attack. Ultimately, what we really want to know isn’t whether Intelligent Design is science, what we really want to know is whether Intelligent Design is true. We could, if we wanted, agree that Intelligent Design is not science. But if it turns out that Intelligent Design is true, would the fact that it’s not science really matter?”  Well, not really, I think! And so the real question is: is it true? And we have not seen anything tonight to think it is not a viable alternative. Now Dr. Ayala says, "But Intelligent Design doesn’t make predictions or conduct research." Well, I simply beg to differ. 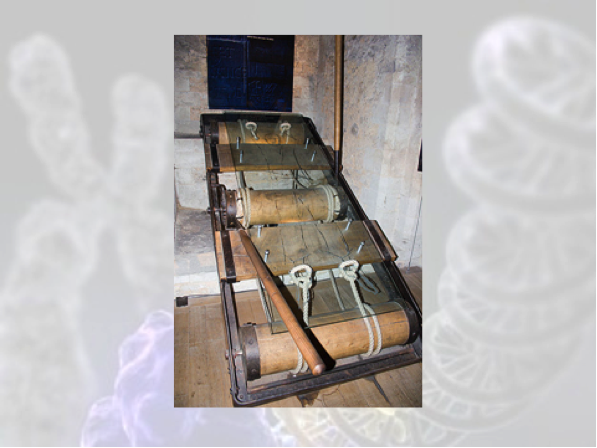 Take a look at Stephen Meyer’s recent book, The Signature in the Cell. It includes 17 pages of predictions and possible research projects to be pursued. The recent genetic results on bacteria and viruses that I quoted are a stringent test. The results: (1) Darwinism’s prediction is falsified; (2) design’s prediction is confirmed. Moderator: We’ll have the first question for Dr. Ayala. "Given what you know about the speed of the evolutionary process, do you think that the age of the Earth, which geologists estimate to be about 4.5 billion years, represents a reasonable amount of time for the genetic code of a simple organism, say, a virus, to evolve into the genetic code of a human purely through random mutation and natural selection, and if so, on what grounds do you believe this?" Moderator: Dr. Ayala will have two minutes to reply, and Dr. Craig will have an optional one minute to comment. Dr. Ayala: This question is the question of whether I believe there is enough time, and the answer is, yes. There is plenty of time. I don’t know . . . how else can I elaborate? You know, evolution and natural selection can happen relatively fast, you know, one step at a time, but when they accumulate over time, four thousand five hundred million years is a lot of time. And if life on earth probably started only about 3.7 billion years or so, this is still a lot of time to give rise to humans and to other sorts of organisms. So, unfortunately I don’t know what else to add other than answer, yes, it is enough time. Obviously, I don’t have the time to try to develop an argument of how evolution can proceed relatively quickly, other than some of the examples that I have written, which are simply illustrations. Moderator: [to Dr. Craig] You have an optional one minute to respond. 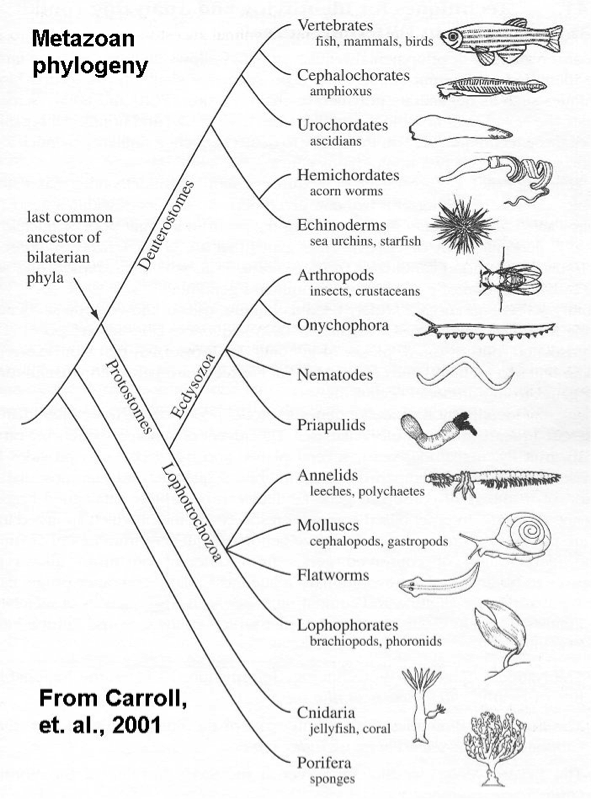 Dr. Craig: The Cambrian explosion, in which all of those basic animal groups or phyla appeared on this planet, occurred around 547 million years ago. And so we’ve got to get this amount of biological complexity from those basic phyla in that amount of time. 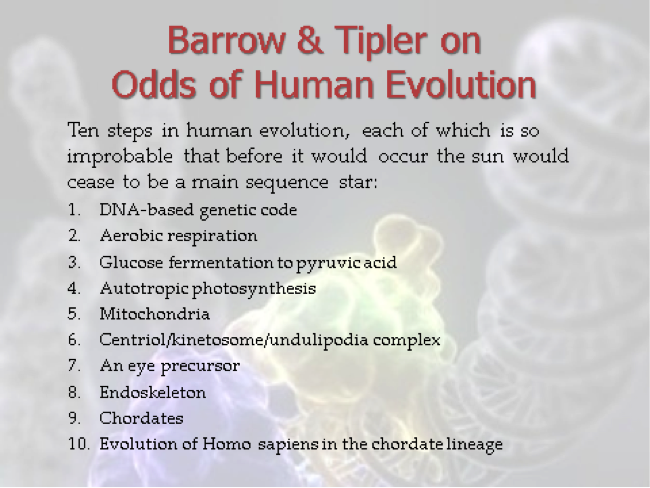 And you remember the estimate that I gave from Barrow and Tipler that ten steps in the course of human evolution are each of them so improbable that it would take the entire stellar evolution of the sun to occur before it would happen. That’s about 10 billion years. So each of those steps would take around 10 billion years to happen by these mechanisms. So all of the evidence that I am aware of, at least, is that these mechanisms would not produce this kind of biological complexity in this amount of time. If evolution did occur, if common ancestry is correct, then it must have been guided by some kind of a supervising intelligence that directed it toward this end. Moderator: A question now for Dr Craig: "It is a logical fallacy to assert that lack of evidence for one theory constitutes empirical evidence for a contradicting hypothesis. Simply arguing that macroevolutionary change is too complex and too extraordinarily improbable to occur through natural selection does not prove the viability of Intelligent Design. What clear empirical scientific evidence obtained from peer-reviewed experiments is there for Intelligent Design?" Dr. Craig: I am really glad for this question because it’s important to reiterate that I did not argue tonight that Intelligent Design is true; I said it’s viable. And in the case of these mechanisms, if the mechanisms have not been demonstrated to have the efficacy to produce this kind of biological complexity in this amount of time, then it does seem to me that ID is at least viable. It deserves a place at the table, and that is all that I was arguing for. Now in terms of arguing for its truth, it is again a caricature of these ID theorists like Dembski and Behe to say that they argue, “Well, because random mutation and natural selection don’t work, therefore Intelligent Design is true.” That’s not the way they argue. 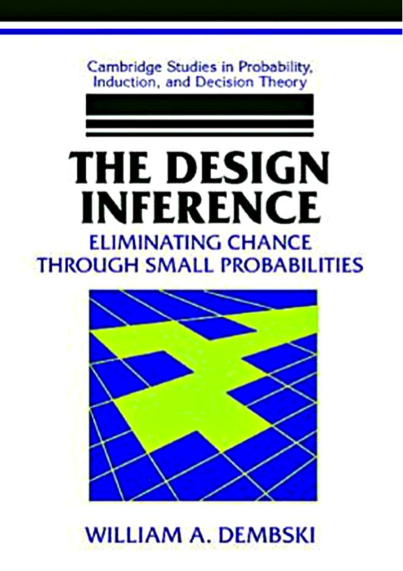 Remember, Dembski gives two criteria, two very specific criteria, for design inference: extremely high improbability and an independently given pattern. And if something exhibits those two characteristics, then a design inference is justified. So this is not an appeal to fallacious either/or reasoning or ignorance; this is a principled inference based upon defined criteria. So to deny the inference, you’ve got to either attack the criteria and show why they’re incorrect or else you’ve got to show that biological systems don’t meet the criteria. But let’s have none of this claim that we’re dealing here with an argument from ignorance or a God-of-the-gaps. That simply ignores the way in which these ID theorists frame their arguments. Dr. Ayala: So the improbability argument and the argument of independent conditions to demonstrate the effectiveness of natural selection was shown with my very early experiment with bacteria. 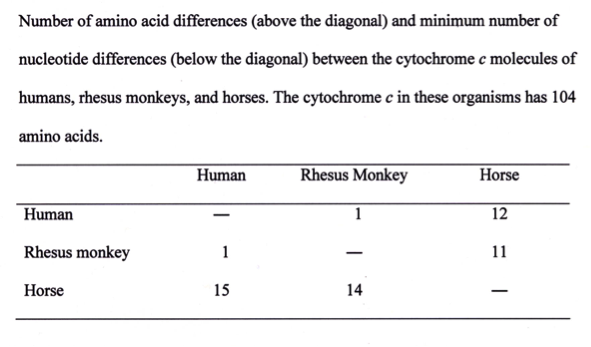 You have 10-16 probability for two mutations to occur. But, just in four days the bacteria are adapted to conditions created externally completely independent of the biology of the bacteria. Let me say one thing suggested to me by some of what Dr. Craig has said now and before. You know, in terms of the complexity of life, what is most complex is the development of the cell and the various kinds of cells. So for the first nearly three billion years we have only unicellular simple organisms, and then we have the Cambrian explosion, then the multicellular organisms appear. You know we have groups of organisms where we have multicellular organisms, that are called Volvox, for example, that are very similar to unicellular organisms, some of which have a number of genetic differences, different—going from one-celled organisms to a multicellular organism which cells [are] differentiated but being some reproductive, some otherwise, it takes four mutations only to go from a single-cell to a multicellular organism. So it can be accomplished very readily. Moderator: OK, let’s move on to the next question. For Dr. Ayala: "How can you say that God is not the designer of organisms while still saying that you believe in God? What do you think, then, is God’s role?" Moderator: "How can you say that God is not the designer of organisms while still saying that you believe in God? What is God’s role then?" Dr. Ayala: I don’t know what is the problem. I think the problem is the other way around. Now it depends on what you mean by God being the designer of organisms. Let me give you an example of an experiment I have done. (And by the way Richard Dawkins did many years ago [something] very similar.) We built—we made a computer program where little pieces can come together according to certain rules and make more and more complex creatures. And they have different rates of reproduction and multiplication depending on the attributes that they have. So we designed the program, and you end up with multiple kinds of little organisms and other computer creatures. I’ve not designed the organism, in a way. In some other way, I have designed the organism. I am the designer of the program. This is one way to see God as the Creator. I don’t have to be there designing the organism or putting this and other pieces(s) together. In fact, if I ran the program again, [it] comes to different outcomes. So once again, one can see God as the designer of the universe. I can see God as being my Creator. I am a creature of God. But that doesn’t mean that God took the little cell in my mother’s womb that was fertilized by my father’s sperm and had to intervene to develop the grown up Francisco Ayala that I am. So I have come about by natural processes. This is not incompatible with my being created by God. Dr. Craig: I think Professor Ayala’s position is a consistent one. Even special creationists, as I said, don’t think that God created every single species just as it is. They may think that God created, for example, a primordial dog, and then all the dogs evolved from that, or that he created a primordial bear or a certain type of lizard, and the others came from that. So God is the source of all these things, but [that] doesn’t mean that He immediately made them all. So I think his position is quite consistent. But I don’t think that it solves the theological problem of evil because you still have to ask the question, “Why would God choose to create things through a process which is so filled with waste, death, pain, and suffering along the way? Doesn’t this call into question God’s goodness?” And there I think you have to revert to some sort of animal pain theodicy such as I offered in my last speech. Moderator: Thank you, Dr. Craig! "How do you respond to Dr. Ayala’s claim that God is the greatest abortionist?" Dr. Craig: Well, I think that he—I think that’s a real—that’s very pejorative, I mean, that’s emotionally loaded language. Most miscarriages occur because the fetus is in some way deformed. So this is actually, I think, an expression of the mercy of God. These fetuses that are spontaneously miscarried are fetuses that will be born with horrible handicaps or other sorts of disabilities. So this is actually a mercy, I think. And, of course, I believe that God is the author and creator of all life, and He has no obligation to prolong anyone’s life. If God wanted to strike me dead right now, that’s perfectly within His prerogative. I have no claim on a certain amount of life. So I see God as sovereign and providentially in control of the world. And it’s entirely within His prerogative what sort of life to give a person and how long that life should be. We have no sort of presumption upon that. It’s a gift of God for which we can only give thanks for whatever we do have. Dr. Ayala: It is correct that most of the spontaneous abortions happen because the developing embryo is defective. It is defective because the design of the human reproductive system is very defective. So, still one has to account why the design of the reproductive system is defective. A very interesting issue arises with respect to the problem of explaining, you know, why we have a world that has all these problems if God is the creator? You know, I don’t have a very good answer. If I did, if I had a very good answer, I would convey it to you. But let me give you the beginning of an answer. God could have created humans beings that do not have freedom, that are robots. There would be no crimes, no sins. But robots are not a good substitute for humans. So it is better to have humans. God could have created a world without evolution. But it would have been a very dull world. The millions of species that arise and the interrelationship between them show the tremendous beauty to the world that God has created. So it is better to have a world with evolution, even if there is predation and abortion and all sorts of other things happening. And the same with the work[ings] of the galaxies. You know, we have earthquakes, and we have these sorts of things that happen in the universe because it’s a dynamic world. God could have created a static world; at least I think he could have created a static world. Who am I to set the rules as to what God can do or not? But a world in which now stars and galaxies form is much more interesting. Moderator: Dr. Ayala: "Do you as a Christian believe that the flaws found in nature’s design existed before the entry of sin into the world?" Moderator: "Do you, as a Christian, believe that the flaws found in nature’s design existed before the entry of sin into the world?" Dr. Ayala: Well, of course, there is this explanation which is perfectly acceptable for people from different forms of Christianity which are not the ones that I would subscribe [to]. [That] it was because of the Fall that all these things happened. Many of the problems that we have mentioned occurred before there were humans around, you know, the behavior of the baboons and everything else. You know, thinking as I saw in the Museum of Creation—on Saturday I was there; they took me—that before the Fall lions ate vegetables, they did not eat other animals. None of this, to me, was very convincing. I could make my statement a little more assertive and more disagreeable perhaps those who agree with that view. That to me is not very convincing that predators became predators after the Fall, and before there were no defects and before there were no spontaneous abortions. Dr. Craig: I think here we begin to see some of the subtlety of the various theodicies that can be offered for animal pain and suffering. I certainly do think that these forms of behavior, these so-called flaws, or predation, and so forth, existed before the advent of human beings on this planet. But William Dembski offers a very interesting theodicy for animal pain. He argues that God foreknew that human beings would fall into sin and exhibit the kinds of evil behavior Dr. Ayala described. And therefore He created a world which is, in a sense, already fallen before the advent of human beings in it because it will then be a suitable environment in which sinful human beings can be brought to their senses through suffering and difficulty and so forth, and in which God will call out people into His Kingdom, inviting them to find salvation, forgiveness, and moral cleansing through the gospel of Christ. So Dembski has a very interesting theodicy which sees these aspects of nature as, indeed, deficits. It’s different than the theodicy I gave. He sees them as deficits, but he sees them as preemptively introduced by God because of God’s foreknowledge of the human Fall into sin. So, again, it just shows the kind of subtle issues that this can get into. They’re not easy to resolve. Moderator: Dr. Craig: "If the design hypothesis that you put forth is actually viable, then it seems that the designer must have a viable mechanism of action. Does the designer go in with scissors and tape to rearrange the genome to create changes not attributable to natural selection? What mechanisms do Intelligent Design theorists propose for this? And are these mechanisms testable?" Dr. Craig: This is an excellent question! Because the ID camp really is a big tent, it includes people who are theistic evolutionists like Behe and Denton down to people who are six-day creationists. And so they will propose different kinds of mechanisms. What they all agree [on] is that undirected processes would not lead to this kind of biological complexity. So, one attractive view would be a kind of progressive creationism, which would see God as intervening periodically in the evolutionary process to cause, say, systemic macro-mutations that would, in all probability, never occur by random chance, but which God causes in order to bring about what would otherwise be, say, a "hopeful monster," that is to say, some very radically different life form. And then He allows natural selection and random mutation to take its course. So that would be one possibility, a kind of progressive creationism. Behe in his most recent book argues for non-random mutations of some sort; these would be mutations that would be directed by God leading ultimately to humanity. So I think there’s any number of alternatives, and this would be one of the interesting research projects that ID theorists ought to engage in. Dr. Ayala: It is very strange for me to think of a process of evolution that is going on and then once in a while God has to put his hand there to cause some macro-mutation or second mutation. It’s, for me, it is just very difficult to comprehend scientifically, philosophically, or theologically. And I am going to make another point. And I will ask the forgiveness of those of you who believe like the things that are in the Creation Museum; that things change after the Fall. You know, I am expressing my views (I am not trying to convince anybody) and why I have problems with certain views. It is hard for me to imagine that the human reproductive system changed after the Fall as a consequence of sin. So, as a consequence of sin, now we have 20 million innocent babies dying every year. So, I insist, I don’t want to persuade people of different ways of interpreting Christian faith, but I want to know where my problems are. Moderator: Dr. Ayala: "Some people say that the elements needed for the first cell that was needed for evolution to begin could not have existed in the early earth environment. What are your thoughts on this?" Dr. Ayala: Well, this is a difficult question to answer. Progress towards understanding the origin of life has been tremendous; precisely in the last few years. One of the persons who got the Nobel prize this year in chemistry has made some advancements with certain discoveries along these lines. And almost every year we have new discoveries that have started to take shape, making us understand a little bit more how life may have first originated. We don’t have the answer yet, at least a satisfactory answer. But I have no reason to believe that eventually we will not have the answer. Dr. Craig: If I understood the question correctly, it concerned the origin of the first living cell itself. This is not something we’ve talked about tonight. We have been focusing on biology and the evolution of biological complexity. But if you go back before that, you have this enormous question of how life itself originated and then, even before that, the fine-tuning of the universe to make the universe suitable for the origin and evolution of life. If you are interested in pursuing this, an excellent new book is Stephen Meyer’s book, The Signature in the Cell, which shows the difficulties of arriving at the first primitive cell by either chance or by some kind of protein evolution. It just isn’t understood at all how this could happen by undirected processes. Now just in August there was some very exciting research announced where scientists were able to synthesize two RNA bases that could help to explain how, from an ID perspective, God arranged the chemical origins to bring about life. But the problem is that these can’t exist in nature without being immediately destroyed. You would need to have some kind of superintendence or supervision in order to pull this off and get it into a cellular organism that would be alive. But Meyer’s work is very good on this if you’re interested. Moderator: Dr. Craig: "How can Dembski’s improbability criterion be a useful tool for justifying design inferences?" Dr. Craig: I am not following, Brad. There’s an echo, and so it’s a little difficult to hear. Moderator: "How can Dembski’s improbability criterion be a useful tool for justifying design inferences? It’s vague, and it seems one can never make a conclusive case that something is sufficiently improbable and thus has to be designed?" Dr. Craig: Well, I guess . . . I don’t think that’s a good objection at all. Dembski talks about a probability bound, beyond which anything is so improbable that it could not happen by chance alone. And he computes this mathematically. And in addition to that, the rational person will make decisions based upon probabilities. So if you are able to formulate probabilities about the origin of any phenomenon, and it’s sufficiently improbable, and then it conforms to an independently given pattern, that combination will tip you off that it’s not the result of chance but of design. So, for example, if, say, Bob got a birthday present, if his wife gave him a car for his birthday—now if that had a license plate number that says CHT 728, out of all of the possible license plate numbers, that’s enormously improbable that he would get that. But that wouldn’t occasion any surprise that [it] would be by chance. But suppose Bob was born on August 8, 1978, and the license plate said BOB 8878. Well, then, he would be obtuse to say, “Well, there’s nothing unusual about that, nothing to be explained here!” It’s highly improbable, plus it conforms to an independently given pattern. And that tips you off that this isn’t just the result of chance. So it seems to me that Dembski’s criteria are quite manageable and are good. Dr. Ayala: I think probability amused you [referring to Dr. Monton?] when I was mentioning today to somebody that I am receiving this year, like every year, several honorary degrees. This year I think it’s seven. What is the probability that two universities in two different countries will offer to present me an honorary degree on exactly the same day, November 24, one, the University of Buenos Aires, and another at the University of South Bohemia? Very low; this happened! But just because I have some angels that work for my benefit, because I told the people in Buenos Aires the 24th of November is fine, I’ll go to Buenos Aires. And I told the guys in the Czech Republic, you ought to move it to May. The 24th of November in Czechoslovakia is 10 degrees below zero! But now, more seriously, going back to the argument from improbability, you know, you don’t need to argue with Professor Dembski because by his own argumentation he doesn’t exist. You see, he was—his genetic makeup has a mother component and a father component. The mother will in her life produce about 500 eggs, each one with a different genetic composition. The father [will] produce about 1012 sperm each with a different genetic composition. The probability that he would have the two right compositions is 10-15; that was low enough. The probability that his father had the right genetic composition is 10-15 and that his mother had the right genetic composition is 10-15. So going one generation back, the probability that Dr. Dembski exists by his own argumentation is 10-45. If I go one more generation [back] the probability that he exists is smaller than the reciprocal of the number of atoms in the universe. Those arguments have no seriousness for any serious scientist. Moderator: Dr. Ayala: "Does a God who sits by idly while natural mechanisms produce generations of baby-killing baboons, for example, seem any less cruel or impotent than the God who has designed them?" Dr. Craig: It’s very difficult to hear. Dr. Ayala: Which probably you don’t. Maybe you [directed towards Dr. Monton] should be answering the question because you probably hear it better. Moderator: "Does a God who sits by idly while natural mechanisms produce generations of baby-killing baboons, for example, seem any less cruel or impotent than the God who has designed them?" Dr. Ayala: There’s a big difference, you see! I live in Irvine, and just across from my house is an ecological reserve where my wife and I walk almost every evening. There are lots of coyotes [there]. Assume that one coyote comes and attacks me and bites me. Is that an act of cruelty, is [it] an immoral act? No, this coyote is not a moral subject. Now assume that when I am walking the next day a mugger comes with a dog and attacks me with the dog and the dog bites me. Then this [is] an immoral act, an immoral act for the mugger, not for the dog. I think there is a big difference between attributing design, real design, to God or having consequences of this world, which is so diverse. For the same reason we do not attribute our sins to God. We have freedom because God has given us free will. And we don’t attribute to God our sins. We are moral subjects; the baboons are not. Dr. Craig: Well, this issue came up in the forthcoming issue of the journal, Theology and Science, in a discussion of Dr. Ayala’s view. And it’s interesting that the participants there see exactly the same problem that the questioner did. Chris Doran in his article says, “Ayala’s strategy only pushes the problem back one step and thus ultimately leaves us in much the same place we were before.”  And so you’ve got to ask, “Well, why would there be a God who would create human beings by means of a process which would result in so much miscarriage and death?” And Dr. Ayala’s answer to Chris Doran—and you heard it tonight—is simply, "Well, that kind of world is more exciting." Well, that doesn’t seem to me to be a very persuasive justification for the permission of that sort of pain and suffering and death. I think we need a much more powerful theodicy than simply saying that a world with evolution is exciting. And so that’s why I tried to offer a bit of a theodicy in my final speech for animal pain and suffering. And in my written work, I have a great deal more to say about human pain and suffering as well, and why a loving and omnipotent God might prefer a world that involves this kind of suffering rather than a world in which there is no suffering at all. Moderator: Dr. Craig: "Is Intelligent Design just a God-of-the-gaps argument? And haven’t God-of-the-gaps arguments been shown to be problematic?" Dr. Craig: I’ve addressed that already tonight, Brad. It is not a God-of-the-gaps argument. Now for those who wonder what that is, [a] God-of-the-gaps argument is a form of argument that says, “Well, we can’t explain this; therefore God must have done it!” And that’s obviously a very weak sort of argument. Rather, as ID theorists offer their argument, they first lay down criteria for detecting design, criteria that, as I say, have a wide applicability in other fields: in crime scene investigations—for example, how you can tell the fire was a result of arson rather than natural causes—, in intellectual property protection—how do you know a passage was plagiarized deliberately rather than merely produced independently with similar wording?—, in the Search for Extraterrestrial Intelligence—how do you distinguish mere noise from outer space with a signal that exhibits an intelligent design behind it? So these criteria are developed by ID theorists with a view toward detecting design in a multiplicity of different fields, and they function well there. The question is, in the field of biology, do biological organisms exhibit these same criteria? So it’s not at all an argument for God-of-the-gaps. In fact, it’s not really an argument for God at all! As I explained tonight, it’s simply saying that there is a justifiable design inference here, based on these criteria. To deny that, you’ve either got to attack the criteria, or you’ve got show that biological organisms don’t meet these criteria. But it’s not a matter of God-of-the-gaps or appeals to ignorance. That’s failing to engage with these ID theorists in their theories of design inference. Dr. Ayala: It is interesting that like the person who asked the question, I’ve heard the argument “[God] of the gaps” several times: about the origin of life, about the mutations to have resistance to malaria, and all this; so at least I’ve heard that argument repeatedly. Let me add my personal feelings. Again, you’ll have to bear with me. One of the reasons why I write in journals like Theology and Science—Dr. Craig in answer didn’t read from the article that follows the one which he read, which is by me—but one of the reasons why I write in theological journals is because I have a graduate degree in theology. The first two books I wrote in my life were theology books. One was a commentary about the Incarnate Word, in Spanish, and the other one was a commentary about the early views in the Bible about human origins. It was in Latin. So I have a graduate degree in theology. I feel I can talk about theology whenever it seems convenient. I feel much more comfortable, of course, speaking in science, which is where I have been working now for many, many years. Moderator: OK, well, here’s a theology-related question. "What do you think about our . . . mankind’s ability to know God’s intentions? Specifically, for example, how . . . you seem to be assuming that God intended for evolutionary processes to occur to lead to some sort of an end, like us. Do you think that we can know that God wanted that?" Dr. Ayala: I frankly don’t care to think about that question. I just do not know how to think about what God’s intentions were. But, if I take . . . positions, I like to take, which is from my point of view, I will argue, as I did before, that I can think [of] myself as a unique creature of God. There is a view of Christian providence that says, I was predicted by God in God’s mind and God has an infinite mind, which is perfectly reasonable, and I am quite willing to live with that. But I am more interested perhaps in seeing myself as being a creature of God without trying to interpret too much [of] what God’s intentions are. I then go back to the problem of free will. God has given us free will that has consequences, including crimes and misdemeanors and [these] sorts of horrible things that are done by us. Did God intend these things to happen? Well, it is good that we have free will. I feel we are better than robots without feelings. Evil deeds are the price we pay. What the intentions of God are, I do not know. Dr. Craig: This is an enormous assumption that underlies the argument about design flaws that many people have pointed out. The person who perceives flaws in nature’s designs and says, "Therefore, this could not have been made by an Intelligent Designer. Any engineer could do a better job!" is presuming to know God’s intentions or the mind of the designer. I remember once talking with an electrical engineer at University of California, Davis, and he said to me, “Why, we engineers design suboptimal systems all the time!” He said, "We do it, perhaps, for cost effectiveness because it might be too expensive to put in the really good materials, or we do it to keep the size a certain dimension—it would cost too much to shrink it down, or—." There are just myriad reasons for why engineers will design systems that are suboptimal. And so when these critics of Intelligent Design look at things in nature, and say, "Well, that nerve that runs so long around the thorax of this creature to its larynx—that could have gone a lot more directly," and say that this is a flaw, they are presuming to know the mind of the designer and what he had in mind and that no intelligent person could have done such a thing. That is just enormously presumptuous. I think that rather than focusing on the flaws, we ought to look at the organism as a whole, and we would see that it’s a marvel of engineering, even if it sometimes exhibits certain features that may puzzle us. Moderator: So we’ll have to ask about that. "What is your proof that only hominoids can be aware of pain?" one person asks. Dr. Craig: I am not hearing you here. Moderator: "What’s your proof that only hominids can be aware that they are in pain?" is one version of the question. Dr. Craig: OK, again, let me refer you to Michael Murray’s book, Nature Red in Tooth and Claw, published by Oxford University Press. This was a real eye-opener for me because as a pet owner and animal lover, I’ve been deeply troubled by the problem of animal pain. And what Murray points out is that apart from humanoid primates, animals do not have the prefrontal cortex of the brain which is the portion of the brain associated with self-awareness. And I noticed in Dr. Ayala’s contribution to Theology and Science, he agreed that humans are the only animals with self-awareness. Now if that’s true, that means that only human beings or humanoid primates can have the awareness that they are themselves in pain. Dogs and cats and horses can be in pain, they have the phenomenon of pain—that would be level 2 on that hierarchy that I showed—, but they wouldn’t have the second-order awareness of being themselves in pain because they don’t have self-awareness. And that’s hugely significant when it comes to the problem of animal suffering because it means that animals don’t really suffer in the way that you and I do. We have the awareness that “I am in pain.” They lack that. There is an analogy to this, however, in human experience that Murray goes into. There’s such a thing called "blind sight" that biologists have found in certain persons, where a person cannot see—he’s blind; he can’t see anything—and yet if you toss a ball to him, he’ll catch it! And if he walks across the stage, he’ll go around the podium; he won’t run into it. In a sense he has a first-order awareness of the things around him, but he doesn’t have the second-order awareness of being aware of those things. So that would be somewhat similar to this notion of having pain awareness but not the awareness of being in pain. So look at Murray’s book for a fascinating discussion of this subject. Dr. Ayala: I want to go back for a moment to the issue of the engineer who has not designed an electrical system that is perfect. If that engineer designs an electrical system that causes fires, you would put him in jail. If somebody who has designed a human reproductive system that causes 20 million abortions per year, certainly I don’t want that to be my God or an Intelligent Designer. I am going to take perhaps a little extra time to come for once in complete agreement with Dr. Craig with an argument. I agree with you that animals do not have self-awareness, which is what would make them aware they have sinned. If you are self-aware, you know you exist as an individual and are subject to pain. You know you are going to die because you see other people around you who die. So [if] you are self-aware, you are death-aware. If there is death-awareness, there is ceremonial burial of the dead because you want to be treated with respect when you die. The only creatures, the only animals that have ceremonial burial of the dead are humans. So humans are death-aware; we bury [the] dead because we are death-aware. This is a necessary implication of self-awareness. So I hold the principle that animals don’t have self-awareness and therefore they don’t experience pain, as a person self-aware does. Moderator: A final question for both of you: "Why are you Christian?" Someone asked that. And let me put a particular spin on it. What does the scientific evidence that we’ve talking about tonight have to do with your being a Christian? I know it’s a big question, but please answer it briefly. Let’s start . . . you each have two minutes. Dr. Ayala: That’s quite a question! Dr. Craig: So who’s going first on this one? Moderator: If you want to go first, you can. Dr. Craig: Well, I think there are two ways or levels on which you can answer this. One would be the kind of existential level, and then the other would be the intellectual level. I think intellectually, I have always had a sense that God exists. From my youngest boyhood, I remember looking out at the stars at night and thinking, “Where did all of this come from?” And as I contemplated the idea of an infinite past, going back and back without beginning, it just seemed inconceivable to me that this could regress infinitely without a beginning. There had to be a beginning for everything to get started. And so it always seemed to me that there had to be some sort of a creator and designer of the cosmos. But I just didn’t know him personally; I had no relationship with this transcendent being. On an existential level, it wasn’t until I was in high school that I began to search for the meaning and purpose of my existence and ask, “Why am I here? Who am I? What’s the reason for being?” And, frankly, I couldn’t find any. I later read the French existentialists in college and found out that I was experiencing at that time the sort of darkness and despair that existentialist philosophers talk about, the absurdity of life. I deeply felt that blackness and that meaninglessness of life—until a girl who sat in front of me in my German class, a radiant Christian, shared with me about God’s love that could be found through Jesus Christ and that I could know God in a personal way through Christ. I had never heard this before. I went home, I got a New Testament, and I began to read it. And as I did, I was absolutely captivated by the person of Jesus of Nazareth. There was a wisdom about his teachings that I had never encountered before, and there was an authenticity about his life that was so attractive, so incredibly magnetic, that I couldn’t deny. And . . . this went on for about six months. I went through a period of the most intense soul-searching I’ve ever been through in my life. I read books. I met other Christians in the high school. I’d never met people like this! They seemed to be connected with a different plane of reality than I was; that I didn’t even dream existed, a reality that gave a deep existential meaning and significance to their lives. And so after about six months of intense searching, I just came to the end of my rope and cried out to God, and I yielded my life to Him and asked Christ to be the Savior of my life and the Lord of my life, and I became a Christian in that moment. It was on September 11th of 1965 that that event occurred, and it changed my life. My studies as a philosopher and as a theologian are simply an expression of that decision that was made then as a young man. I have found that you can love God with all your mind as well as with all your heart and that He meets the needs of your intellect as well as the needs of your heart. And so, I am enthusiastically a Christian, both intellectually as well as existentially. Dr. Ayala: September 11! Think about, think about [applause in response to Dr. Craig’s testimony] . . . think about curious coincidences! For me, a sincere religious faith can be a source of motivation to describe the world of nature, to do science, and to try to find out more about this wonderful world in which we live. And in every direction I see the beauty of the world—which in spite of all bad things that happen—we have this tremendous beauty with thousands and thousands and millions of species and all these dynamic processes, I see that as a source of religious inspiration. So doing science can help faith. And having faith, I think, is motivation to do science. 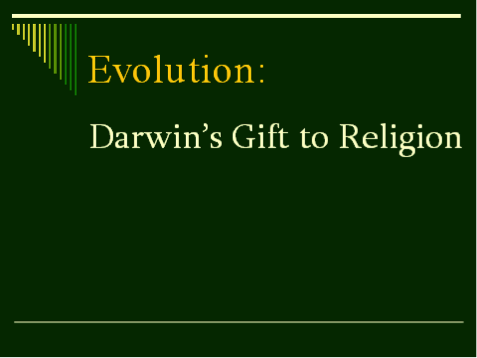 Francisco Ayala, Darwin’s Gift to Science and Religion (Washington, D.C.: Joseph Henry Press, 2007), 53. Michael Behe, The Edge of Evolution (New York: Free Press, 2007), 139. 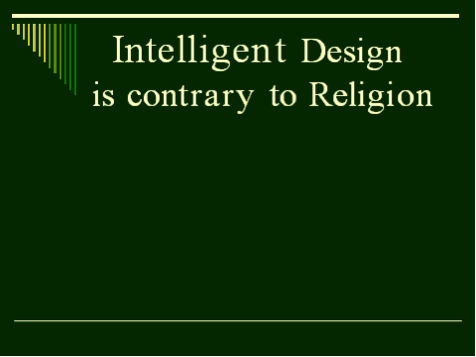 Francisco Ayala, Darwin and Intelligent Design (Minneapolis: Fortress Press, 2006), X.
Michael J. Behe, “Response to Kenneth Miller,” Uncommon Descent (blog), July 11, 2007. Accessed July 11, 2013, http://behe.uncommondescent.com/2007/07/response-to-kenneth-r-miller/. Michael Behe, The Edge of Evolution (New York: Free Press, 2007), 162-163. Michael Behe, Darwin’s Black Box (New York: Free Press, 1996), 38. John D. Barrow and Frank J. Tipler, The Anthropic Cosmological Principle (Oxford: Oxford University Press, USA, 1986), 133, 565. 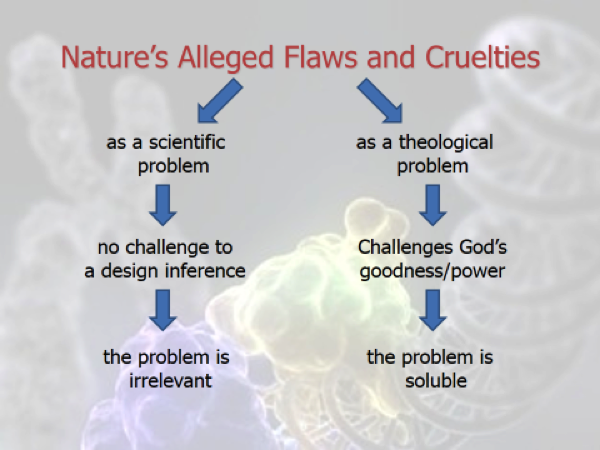 William Lane Craig, “Nature’s Flaws and Cruelties,” Reasonable Faith, retrieved July 12, 2013. Accessed July 12, 2013, http://www.reasonablefaith.org/natures-flaws-and-cruelties. Michael J. Denton, “The Inverted Retina: Maladaptation or Pre-Adaptation?” Access Research Network, retrieved July 12, 2013. Accessed July 12, 2013, http://www.arn.org/docs/odesign/od192/invertedretina192.htm. 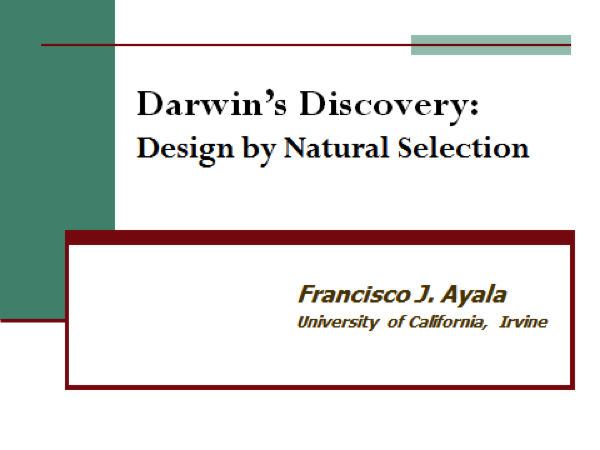 Francisco Ayala, Darwin’s Gift to Science and Religion (Washington, D.C.: Joseph Henry Press, 2007), 159. Bradley Monton, Seeking God in Science (Broadview Press, 2009), 53-4. Michael J. Behe, “Questions about my new book?,” Uncommon Descent (blog), June 18, 2007. Accessed July 11, 2013, http://behe.uncommondescent.com/2007/06/questions-about-my-new-book/. Chris Doran, “From Atheism to Theodicy to Intelligent Design: Responding to the Work of Francisco J. Ayala,” Theology and Science 7, no. 4 (September 2009): 337-344. 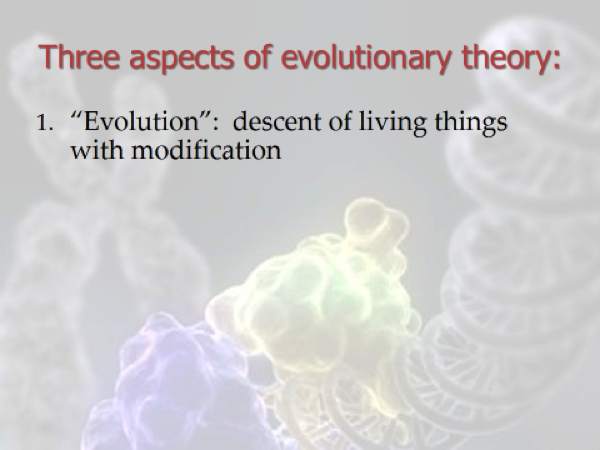 Francisco J. Ayala, “Evolution Beyond Biology: Comments and Responses,” Theology and Science 7, no. 4 (September 2009): 385, 389.